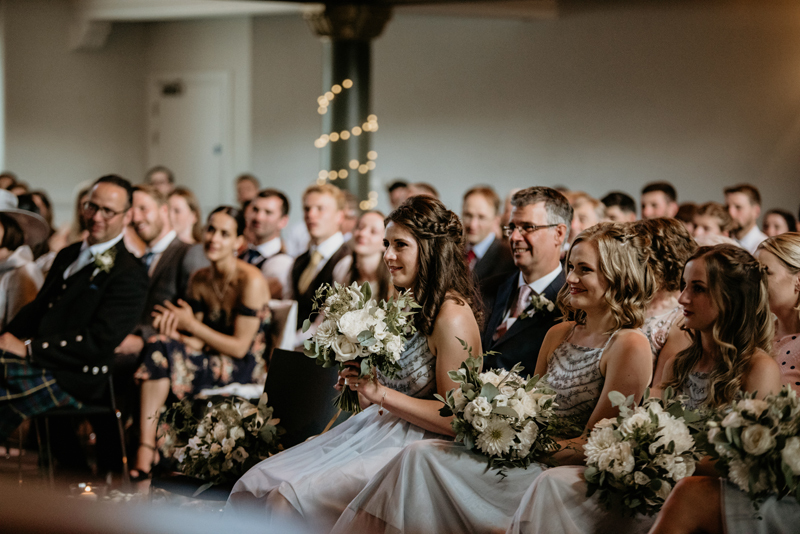 I really loved arranging the flowers for Rachel and Max’s big day. 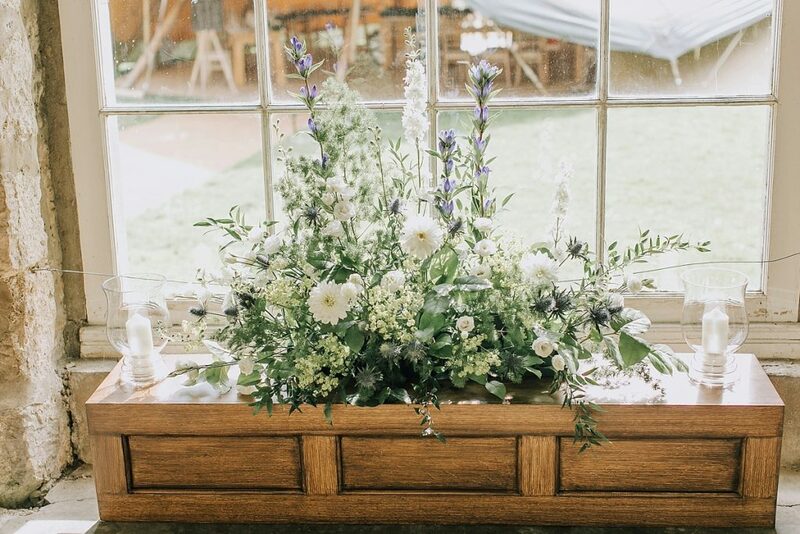 Rachel wanted a wild unstructured look for her flowers with lots of texture so I sourced some lovely summer blooms and foliage’s to use in their arrangements. 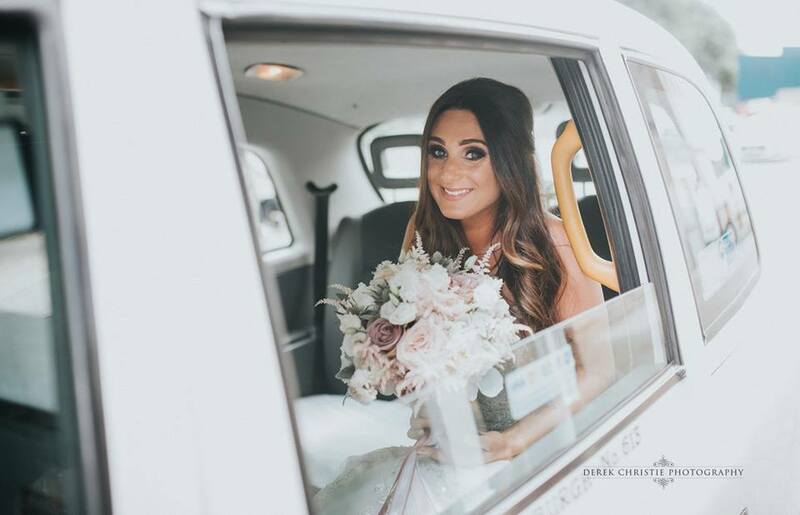 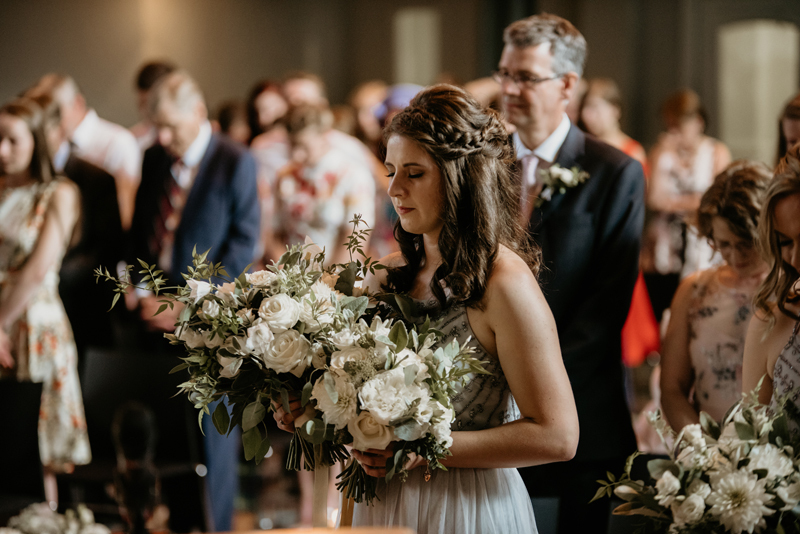 Rachel carried a large unstructured bouquet of white/ivory flowers with lots of foliage. 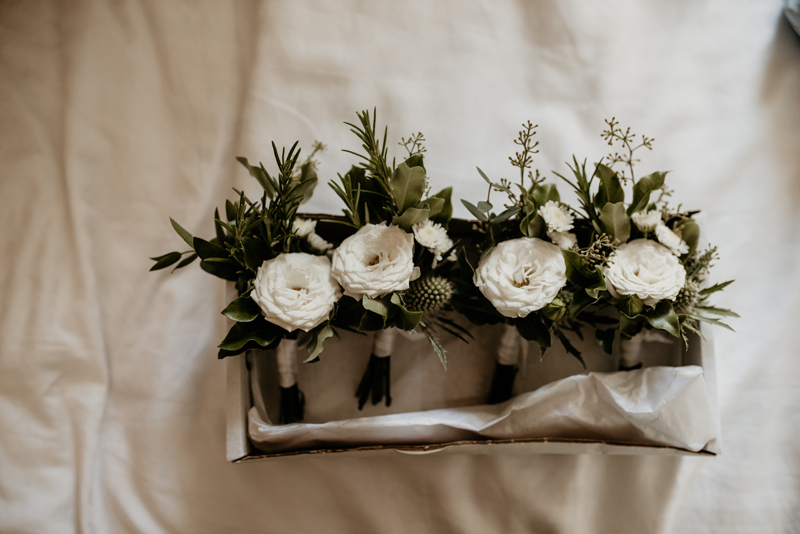 Her bridesmaid’s carried a smaller version of her bouquet and Max and his Groomsmen wore rustic style buttonholes. 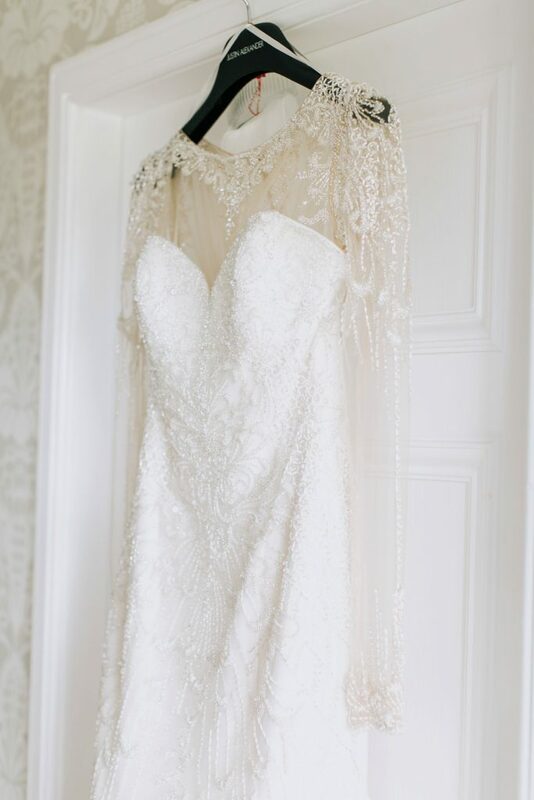 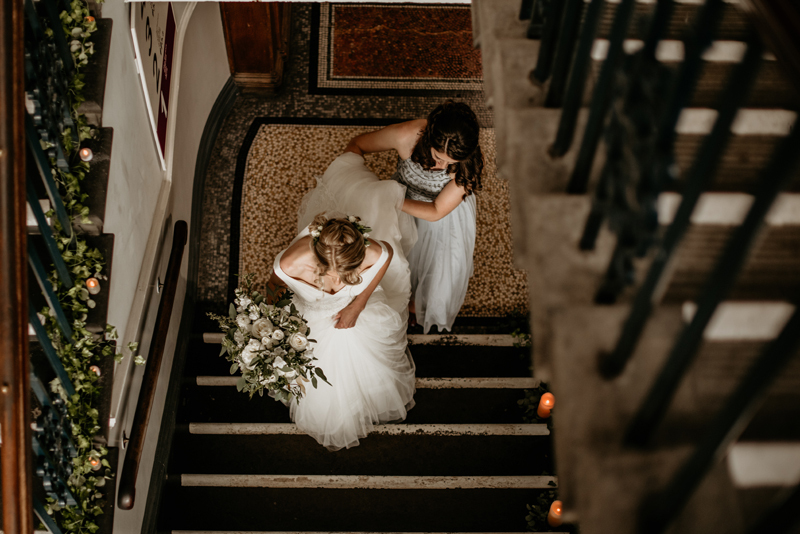 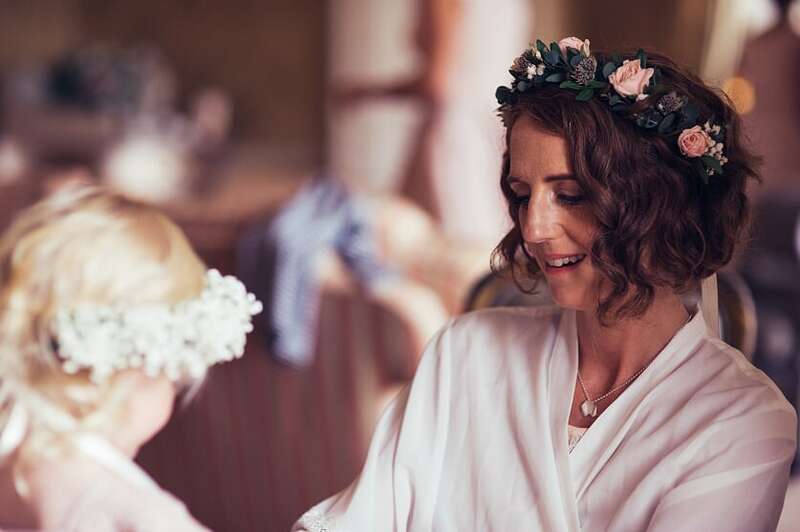 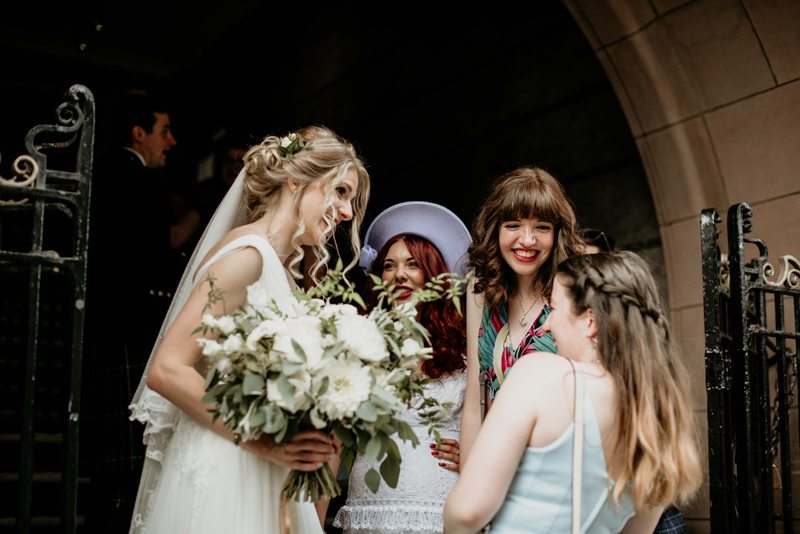 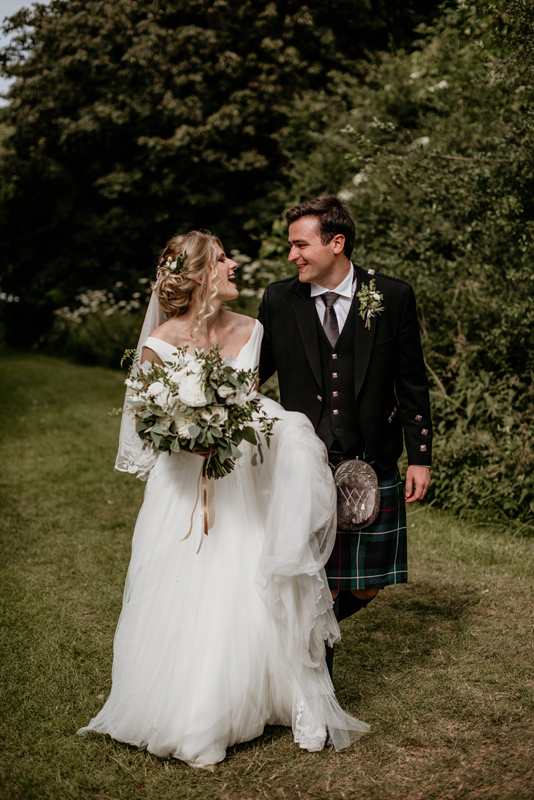 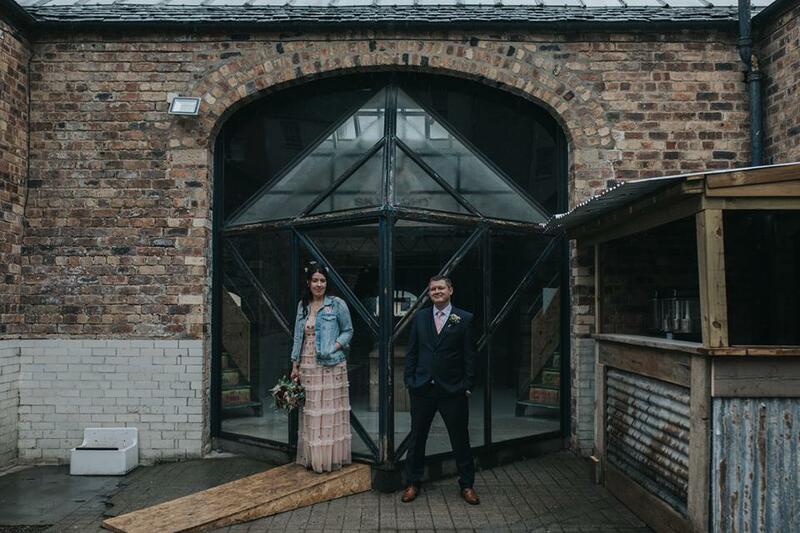 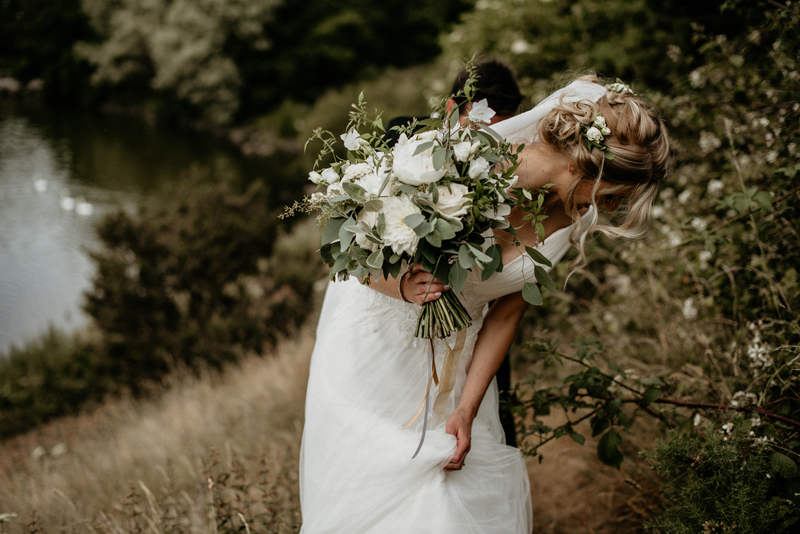 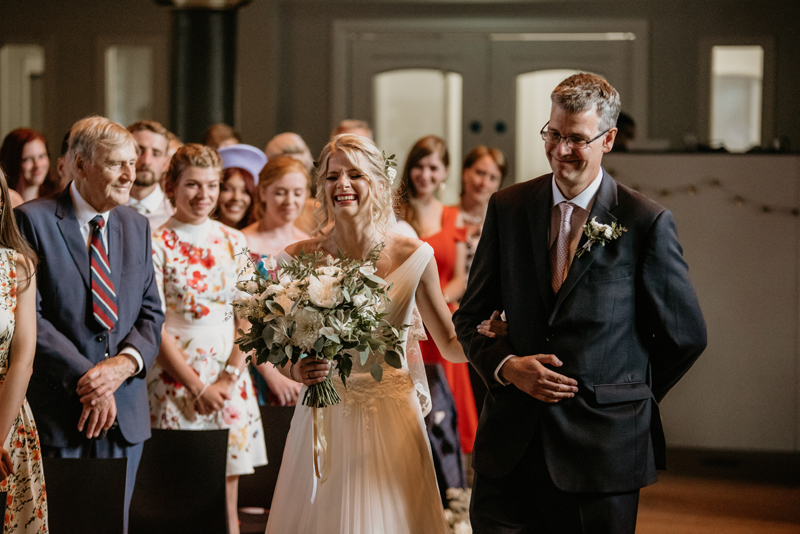 I am delighted to be able to share with you some gorgeous images from their big day taken by Claire Fleck Photography. 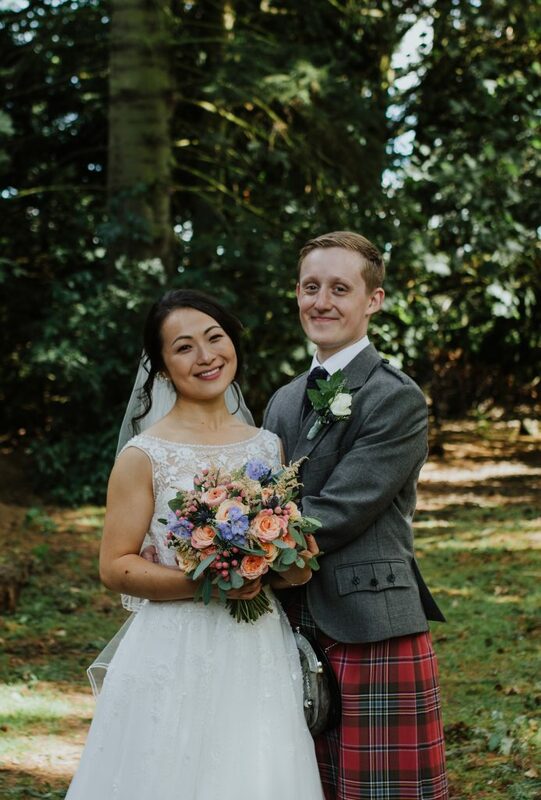 Best wishes to Rachel & Max. 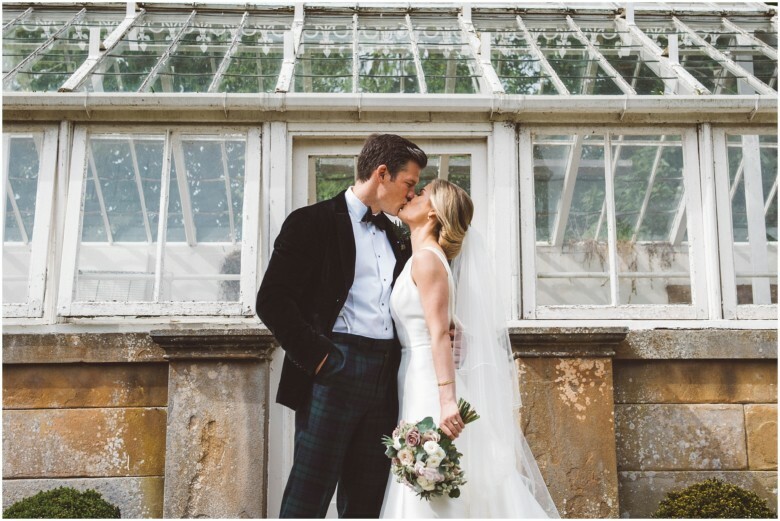 It was lovely to be back at the stunning Gilmerton House in October for Rachel and Jake’s big day. 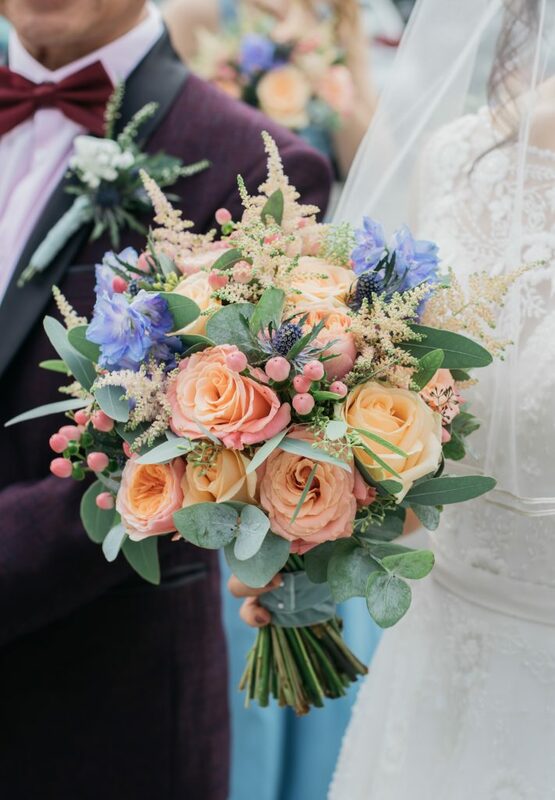 We created a relaxed garden style for their flowers with a colour palette of pale pink’s and lilac’s for the personal flowers and bright autumn colours for the marquee with lots of seasonal foliage. 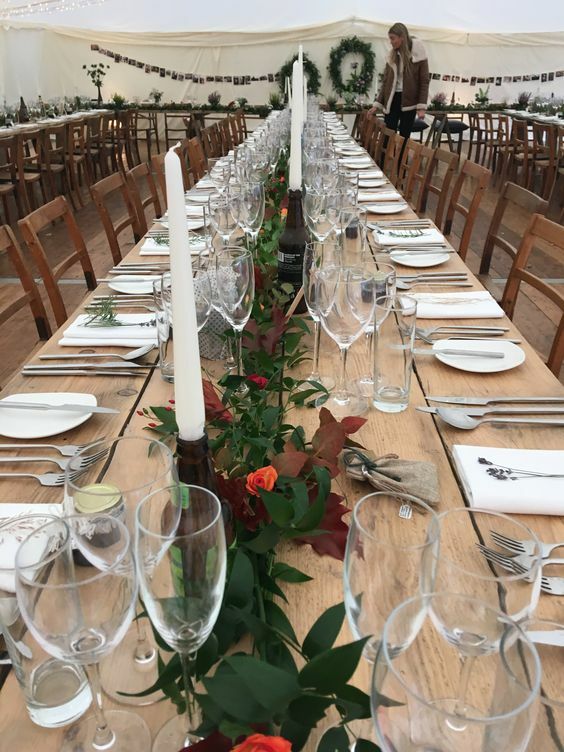 The marquee looked amazing all set up with long wooden trestle tables which we decorated with foliage, flowers and autumn leaves. 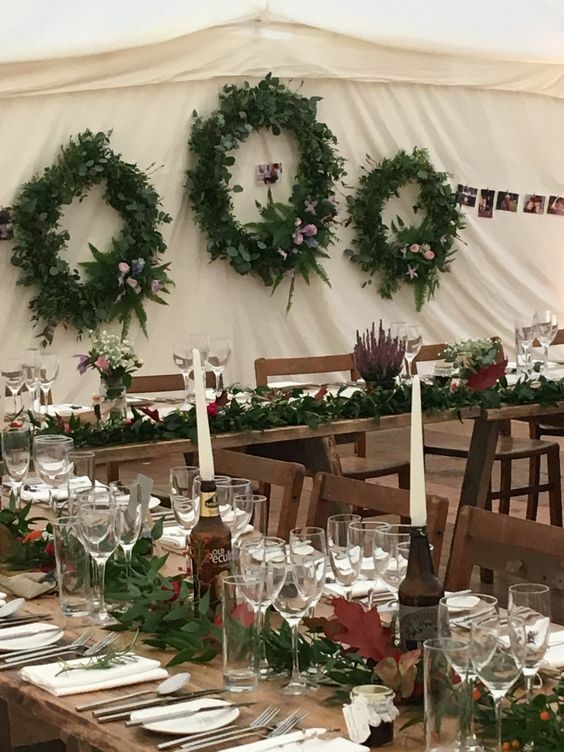 3 x giant hoops were hung behind the top table to tie in with the autumn foliage feel and Rachel and Jake hung lots of family pictures around the tent which was a lovely touch. 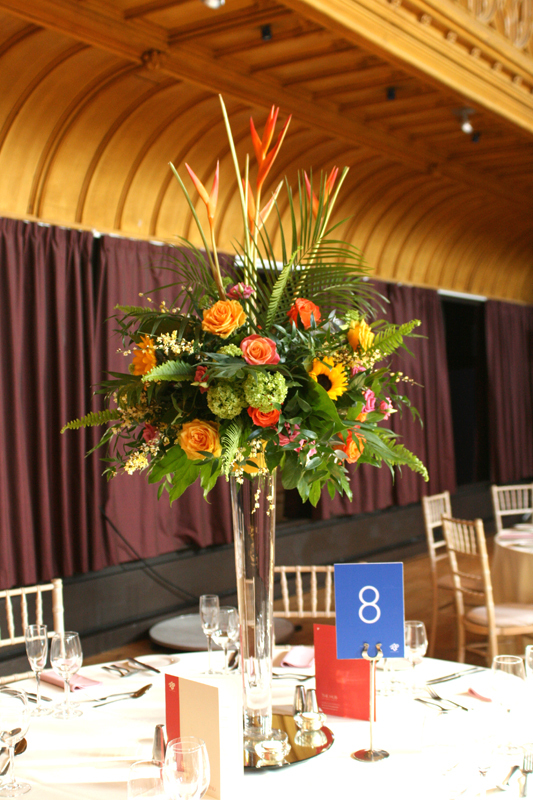 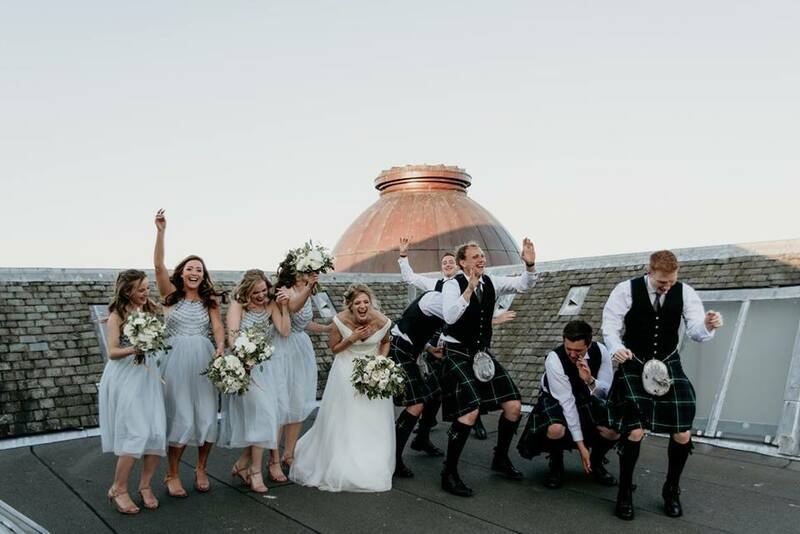 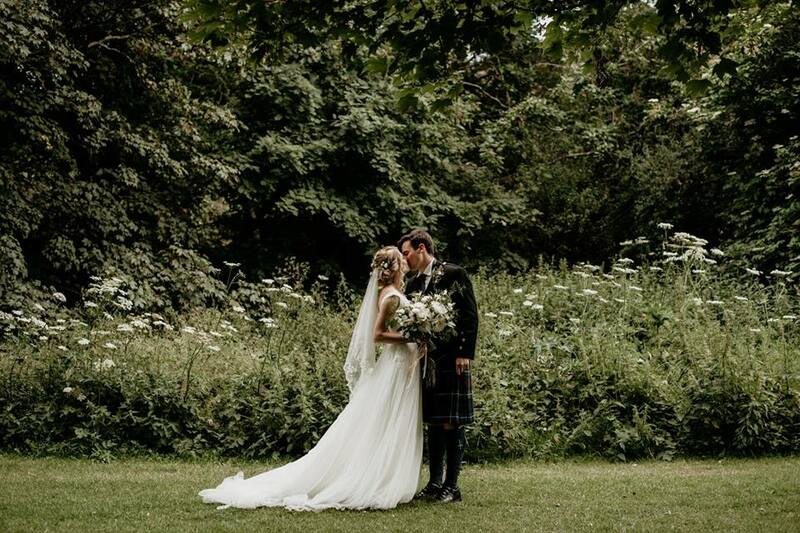 We provided the flowers for Georgina and Dan’s big day at Edinburgh Zoo back in September last year. 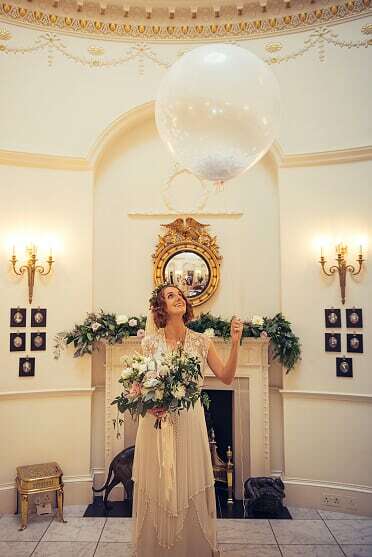 I love visiting the Mansion House and was delighted to be back last week for the first wedding of the year. 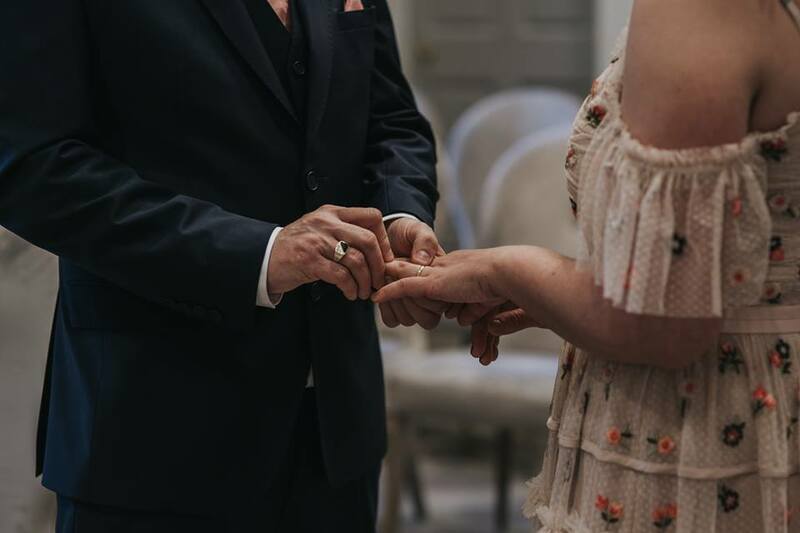 Photos to follow soon. 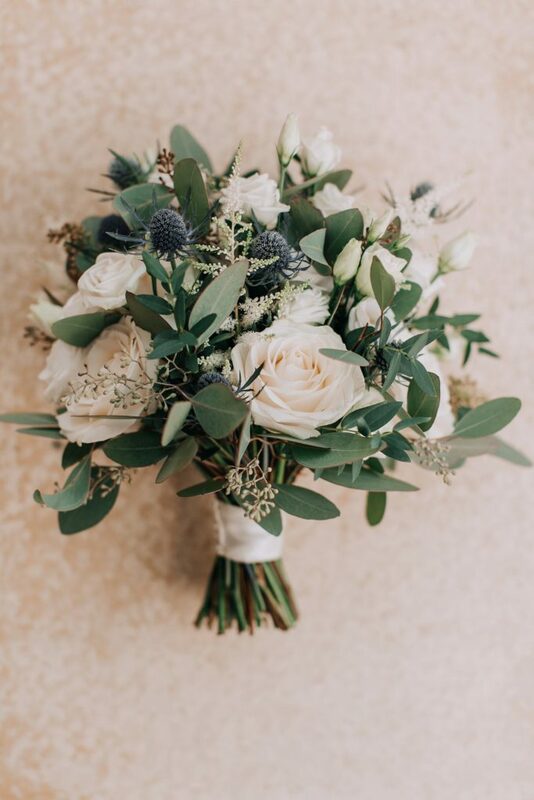 Georgina and Dan chose a classic simple look for their flowers with just a few varieties in lilac and white/ivory with just a touch of foliage. 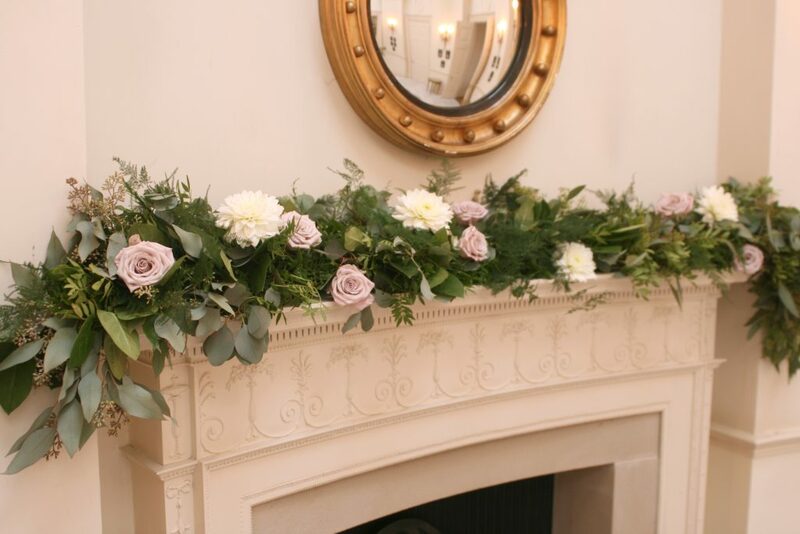 We selected lilac roses, avalanche roses and white astrantia with eucalyptus for the bouquet’s and added a few extra varieties for the large fireplace display. 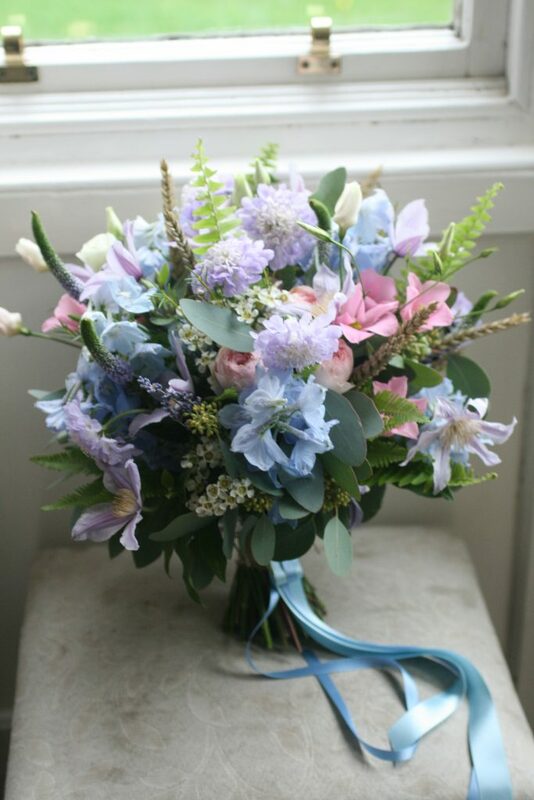 We also provided buttonholes and a long and low for the ceremony table. 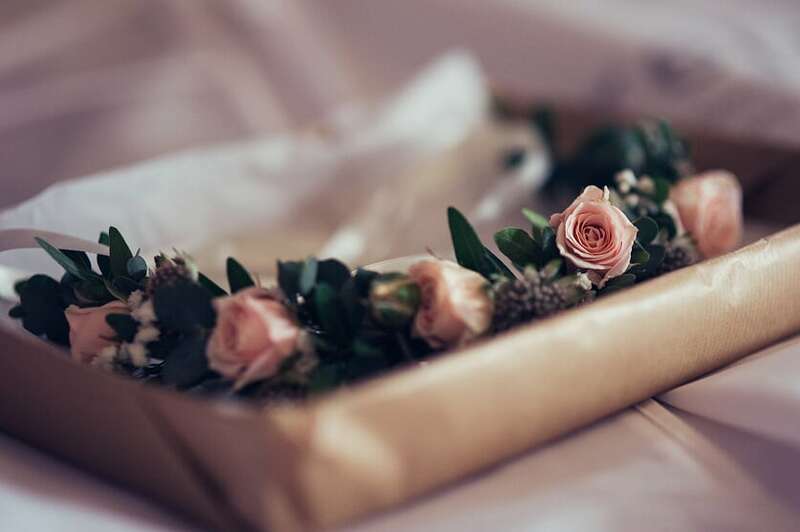 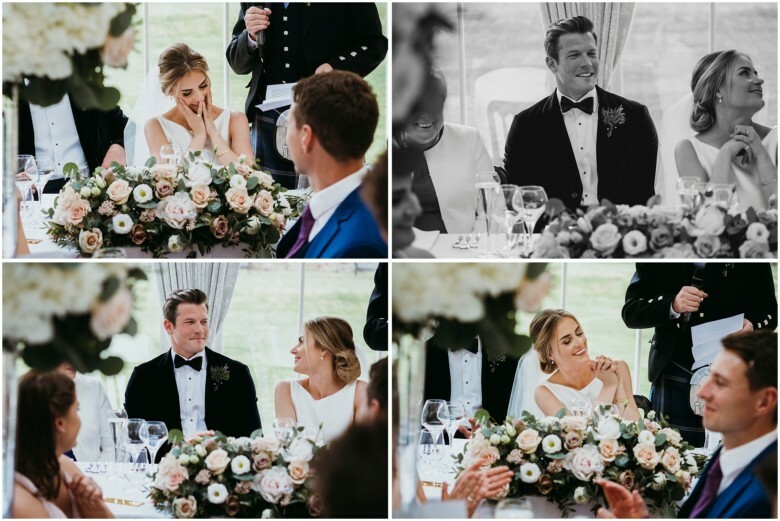 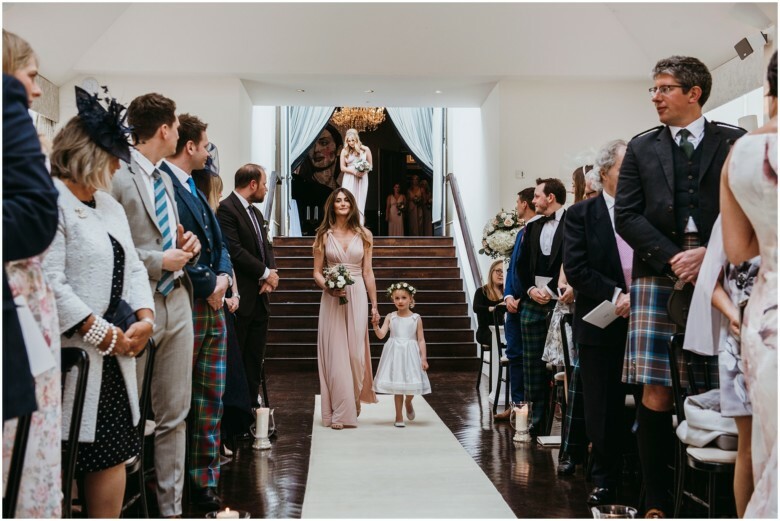 It was a pleasure to provide the flowers for Zoe and Gavin’s wedding at the lovely Archerfield House and I am delighted to share a few images from their big day. 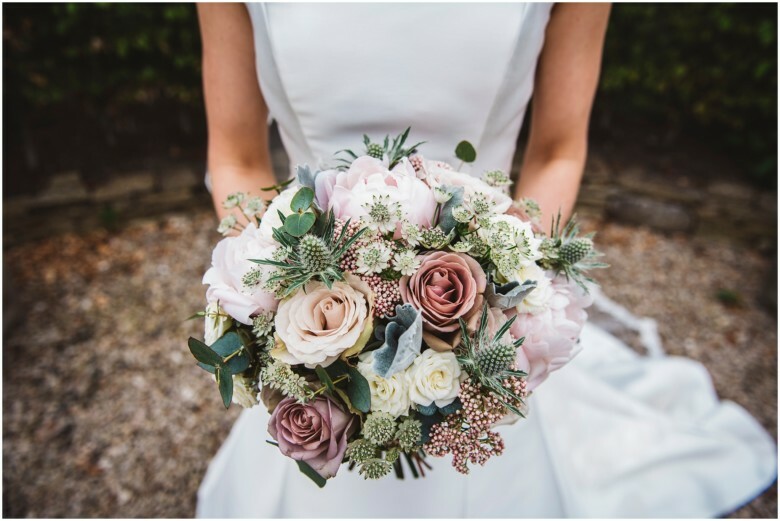 Zoe requested a wild relaxed style for her florals with lots of texture and mixed foliage. 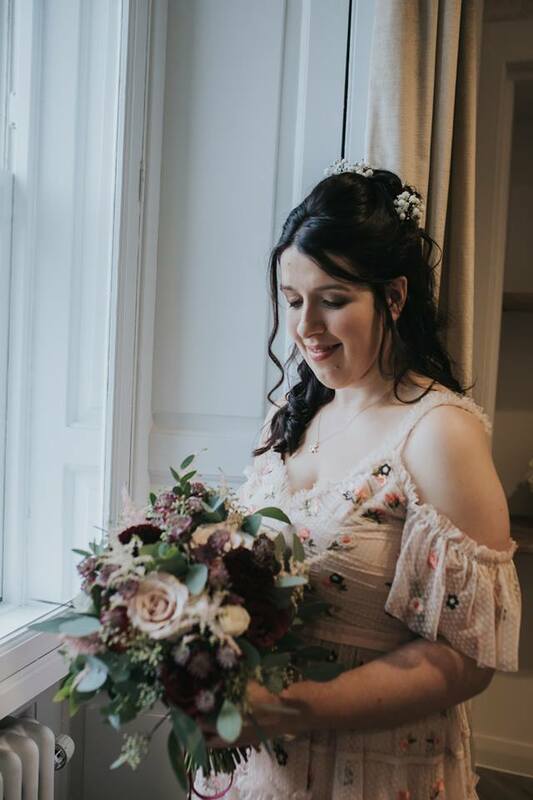 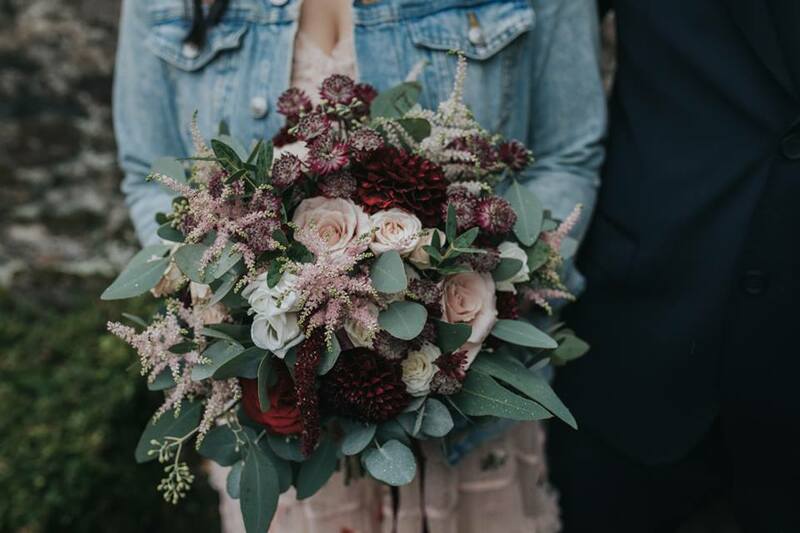 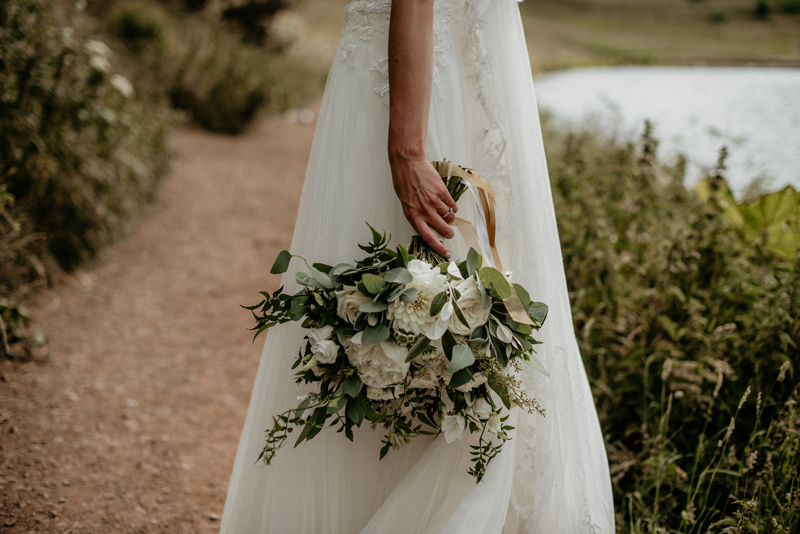 Zoe’s bouquet included lots of seasonal varieties including roses, freesia, dahlia, eustoma, astrantia, astilbe, eucalyptus and jasmine from our garden. 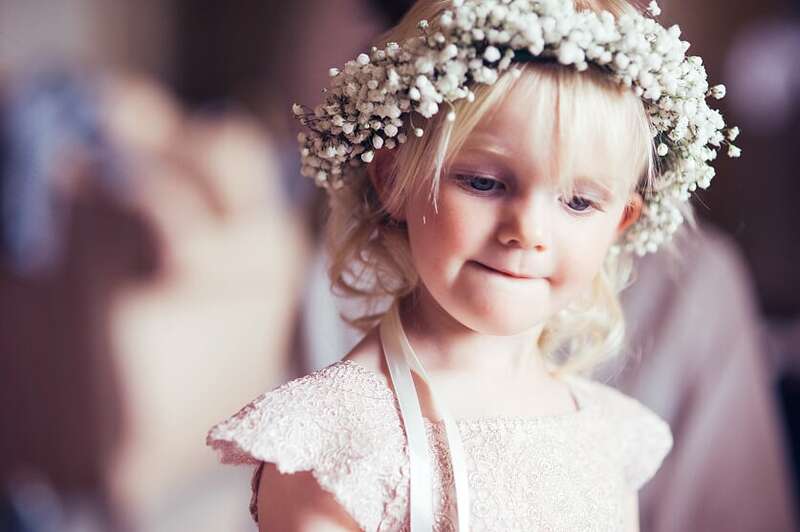 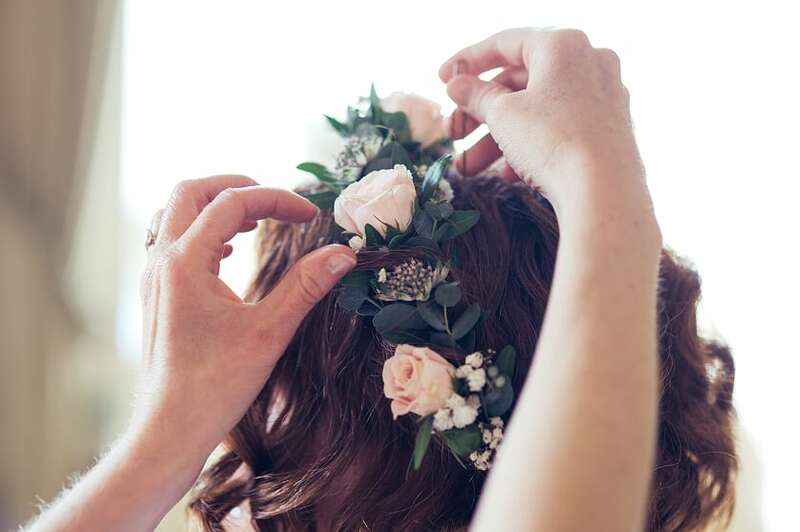 We created a delicate flower crown for Zoe with spray roses, astrantia and foliage. 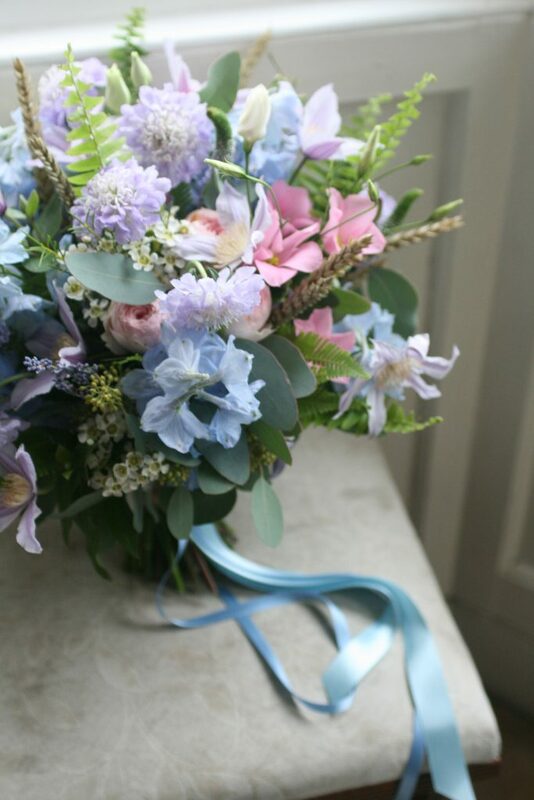 The gents wore blue thistles with lavender and rosemary. 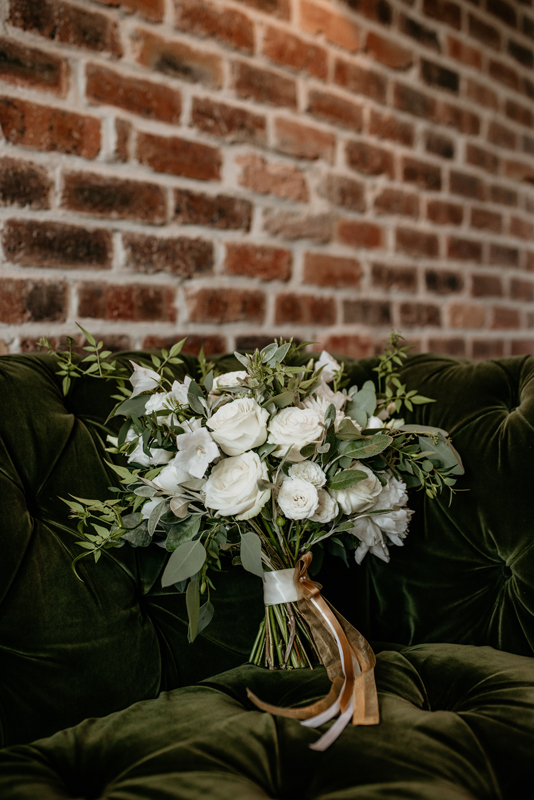 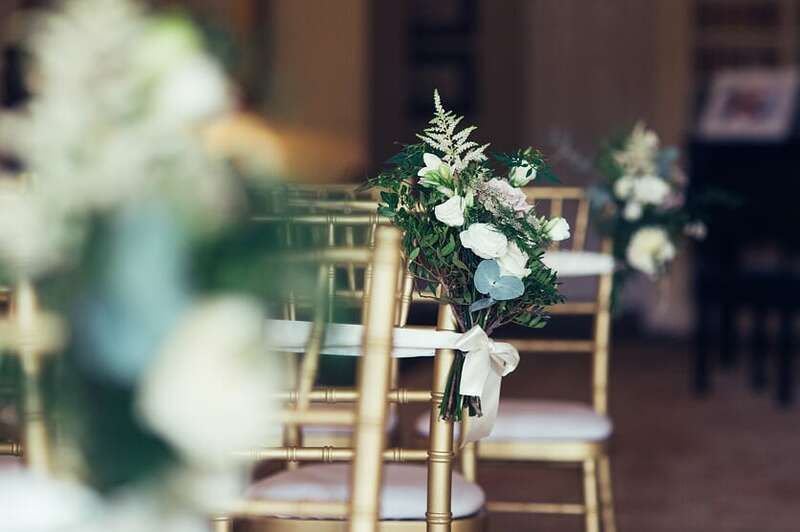 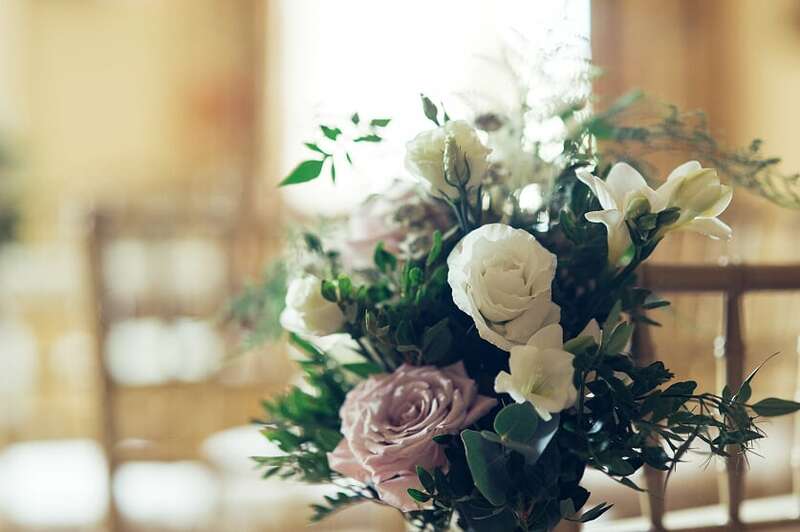 We also provided flowers for the venue including a large pedestal arrangement and pew ends for the ceremony area and small vases of blooms for the dining tables. 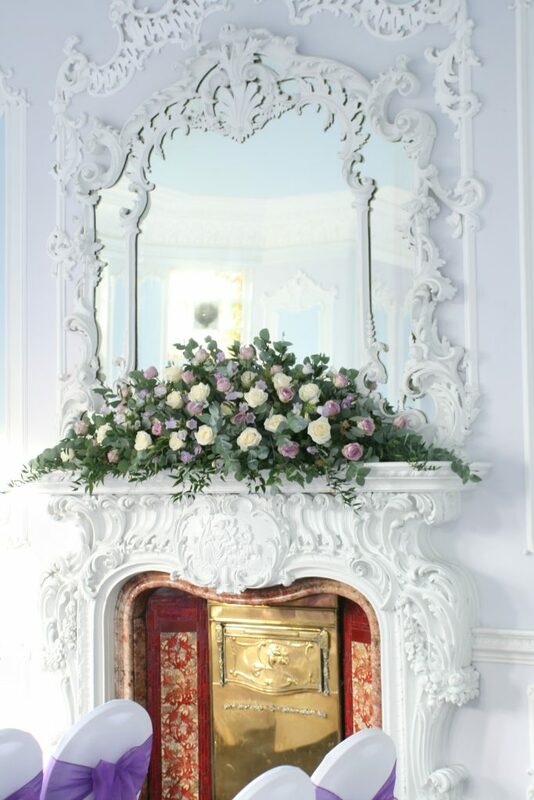 The fireplaces were decorated with foliage and flower garlands. 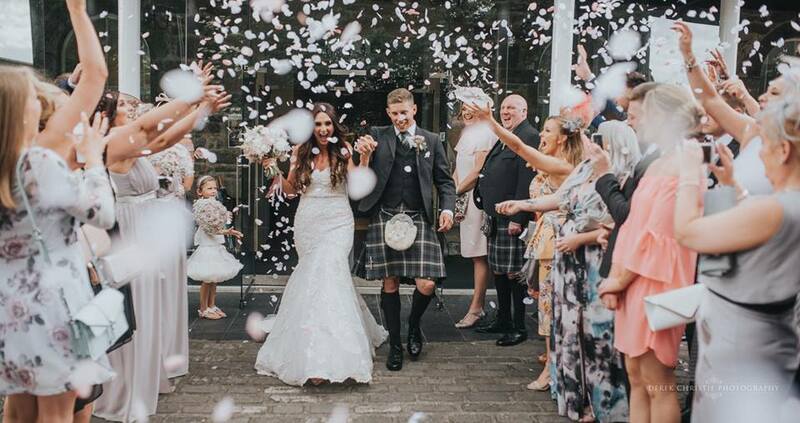 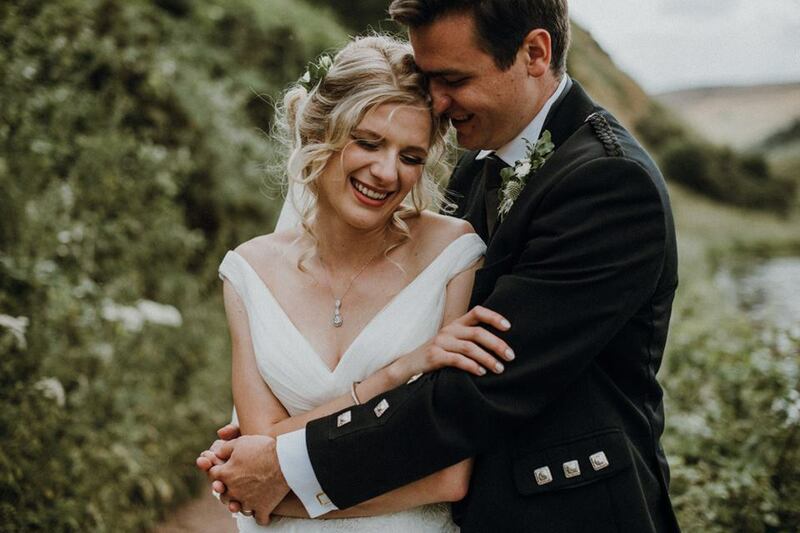 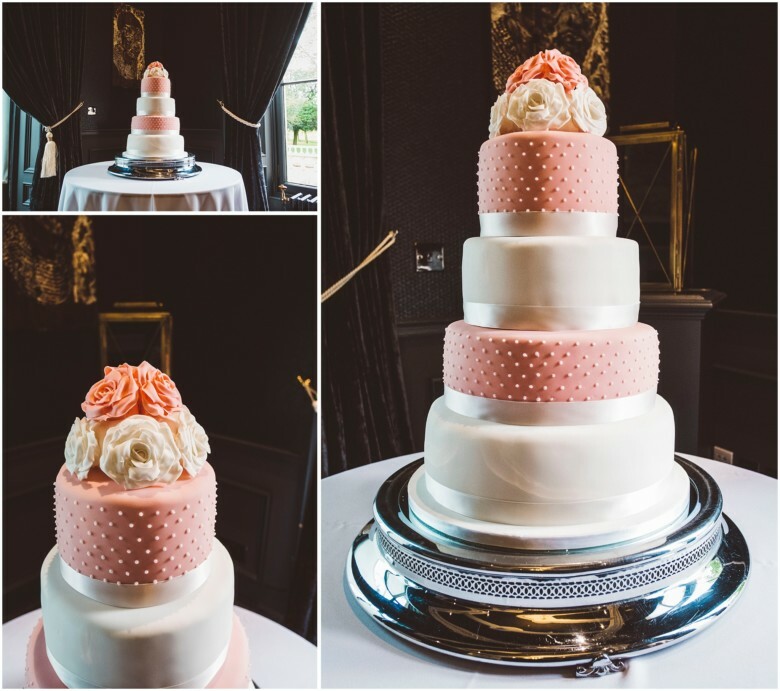 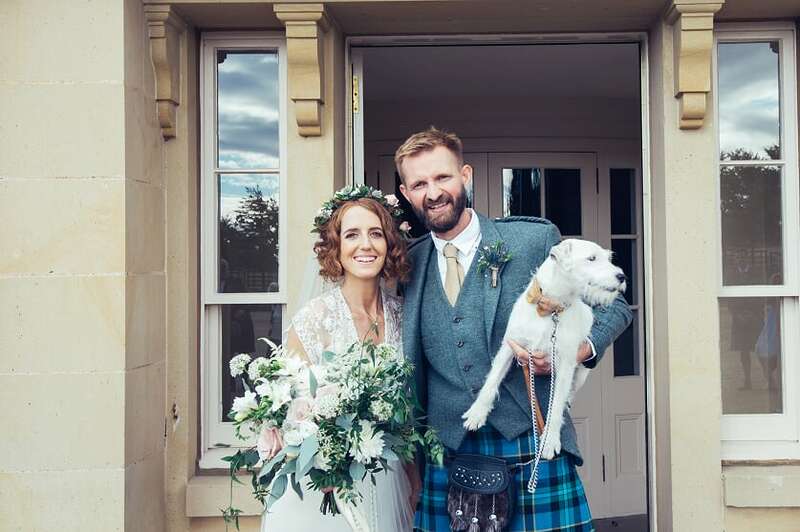 Hannah and James were married at the lovely Eskmills in Musselburgh. 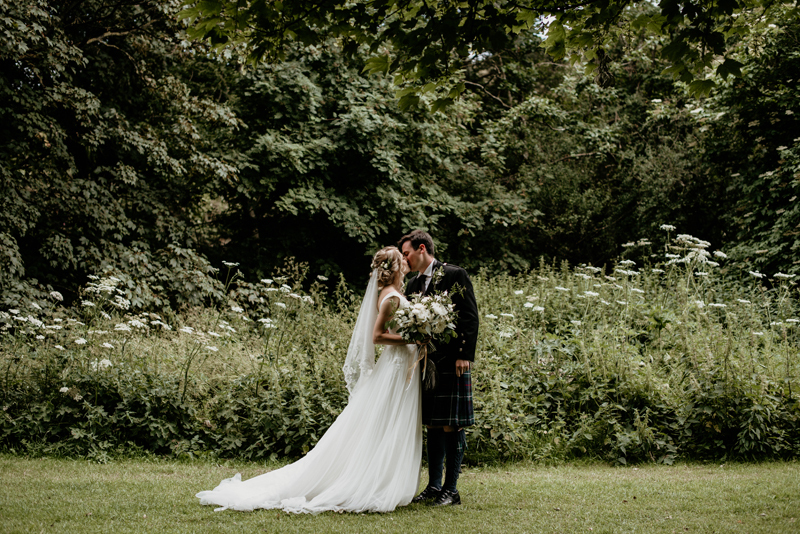 Just a short distance from our studio in Musselburgh. 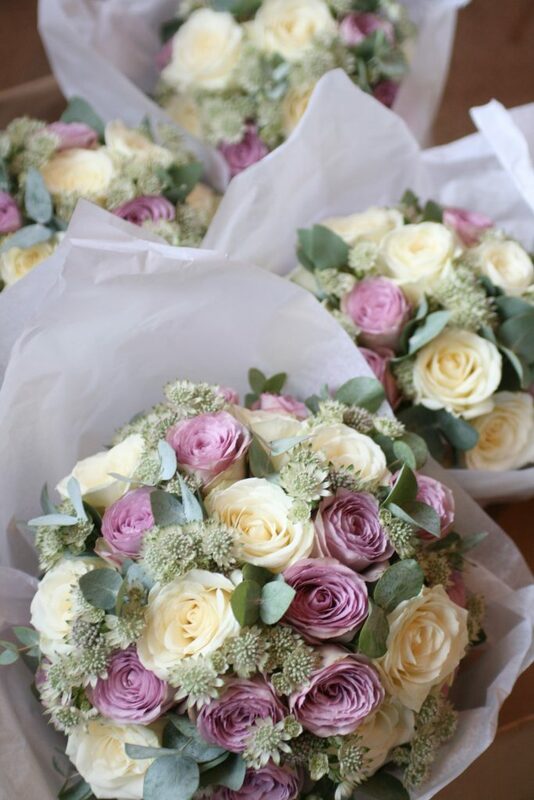 It was a pleasure to provide the flowers for Hannah and James’ wedding. 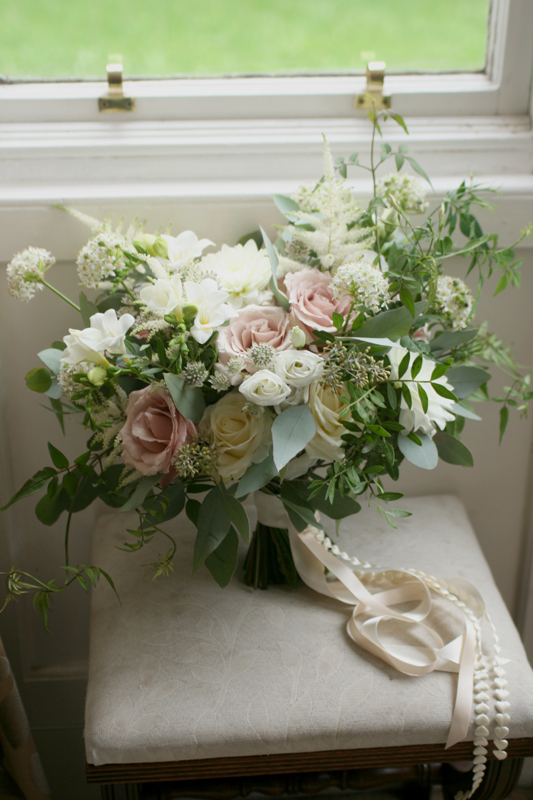 White/ivory and pale dusky pink was the colour choice for the day. 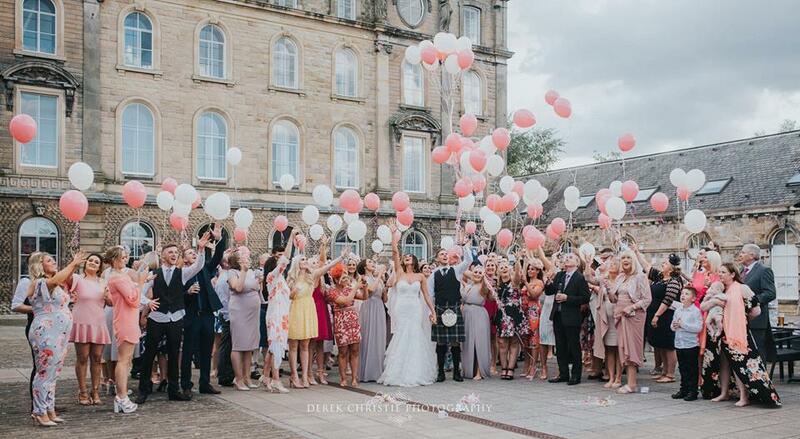 Please enjoy these amazing images taken by Derek Christie Photography. 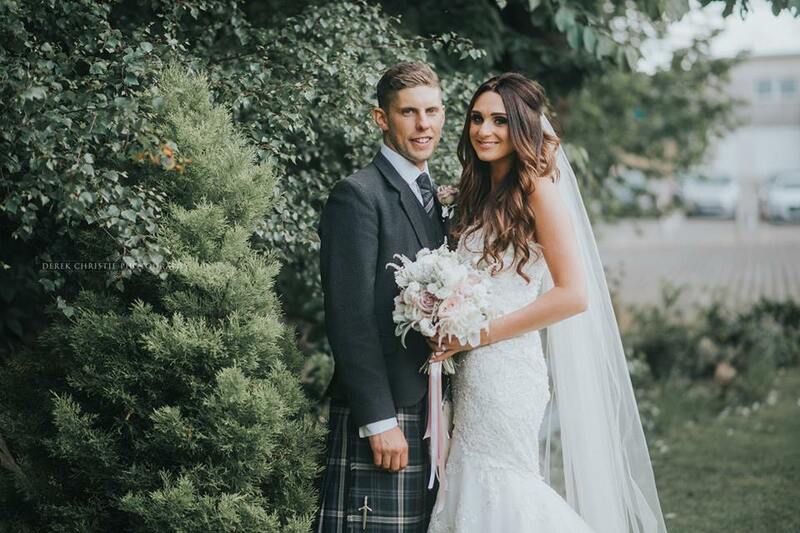 How amazing does Hannah look in her dress?!. 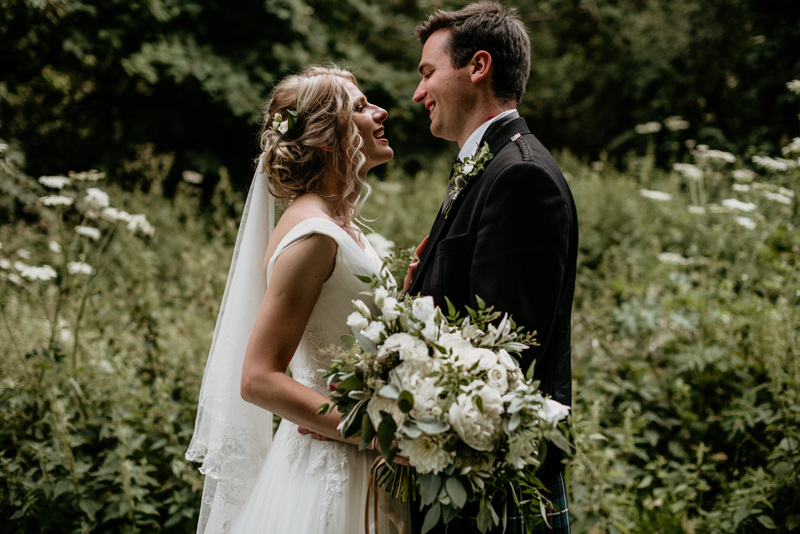 I am delighted to share a few stunning images of Kayleigh and Steven’s intimate elopement in Edinburgh. 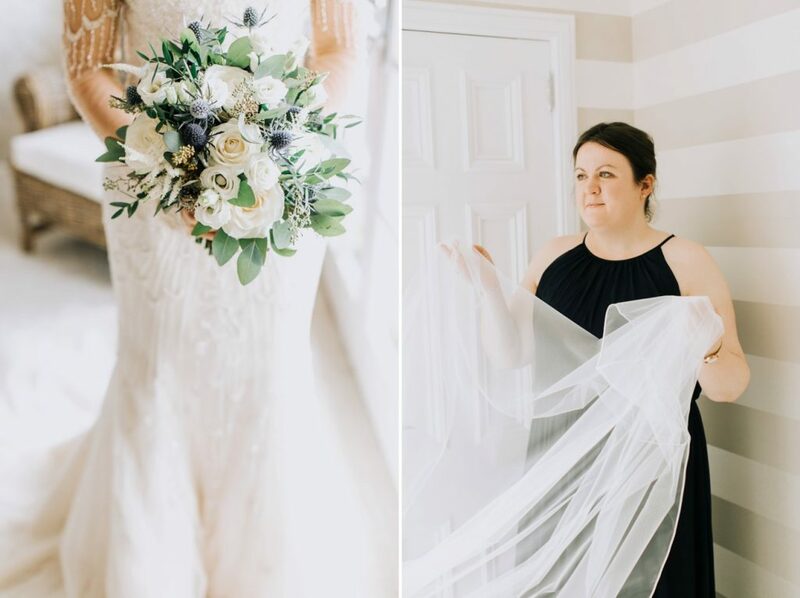 Kayleigh requested a mixed textured look for her wedding florals to compliment her amazing dress. 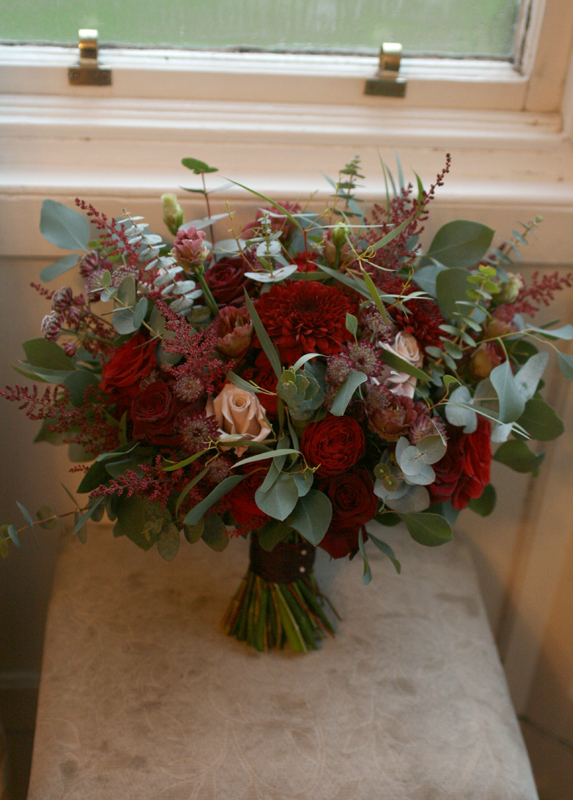 We included lost of seasonal goodies including roses, astrantia, astilbe, dahlia and eustoma with lots of textured foliage. 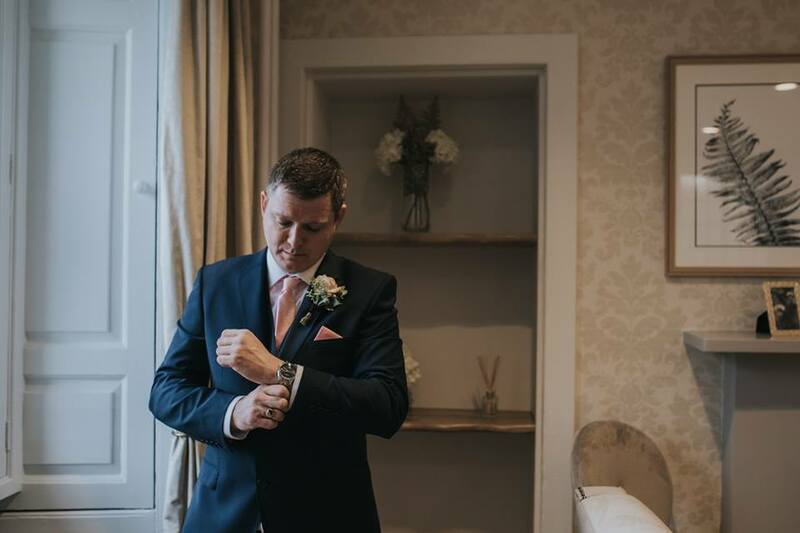 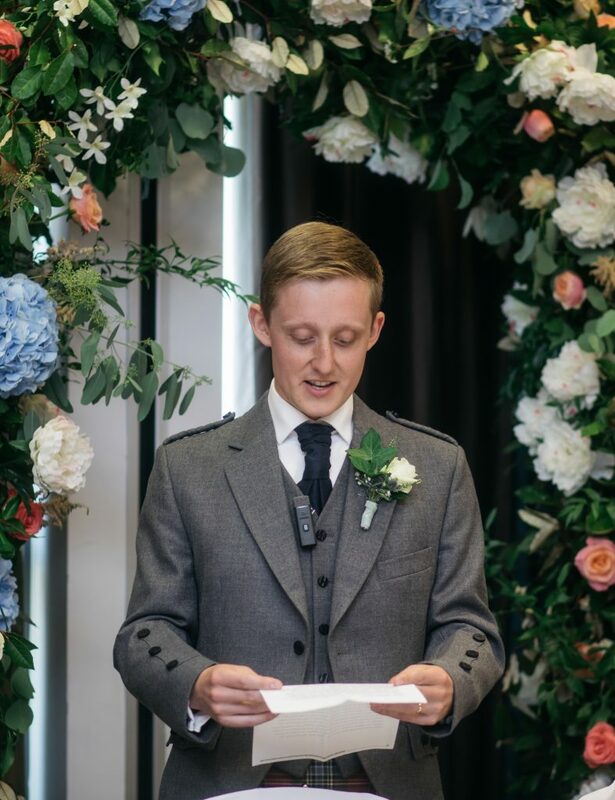 Steven wore a rustic style buttonhole to compliment Kayleigh’s bouquet. 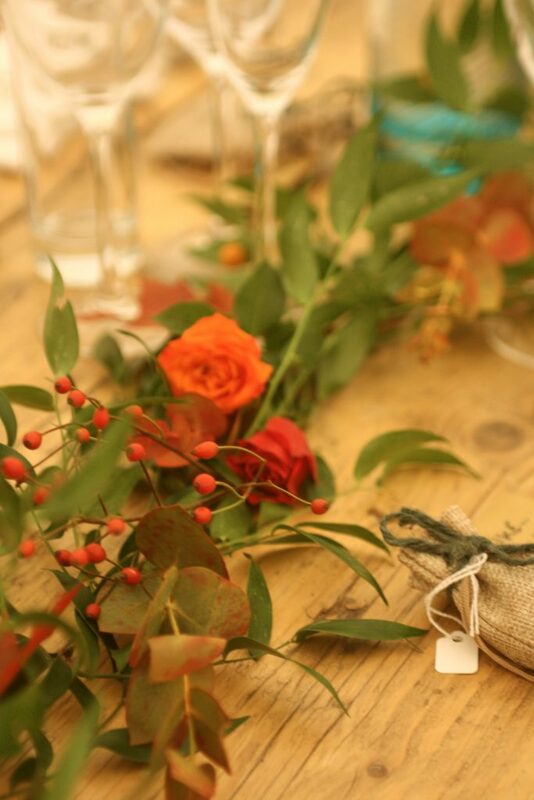 The beautiful images were taken by Loraine Ross Photography. 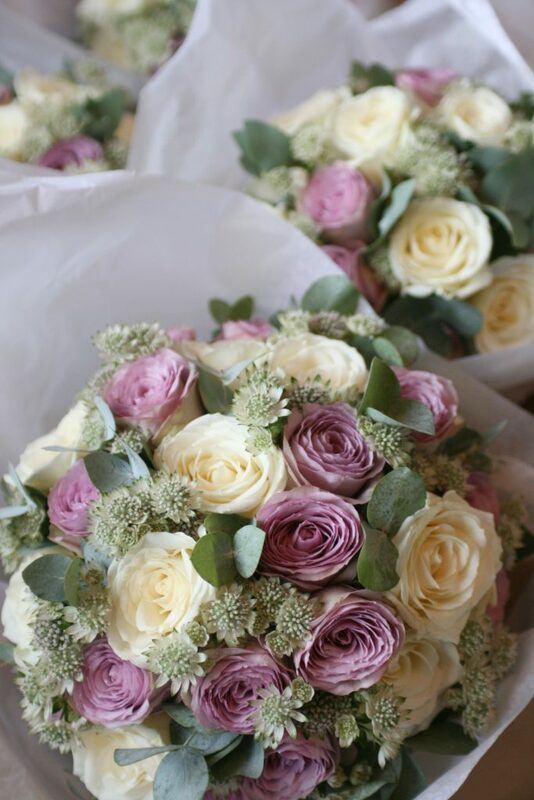 Please pop over to Loraine’s website or facebook page to view more of her stunning work. 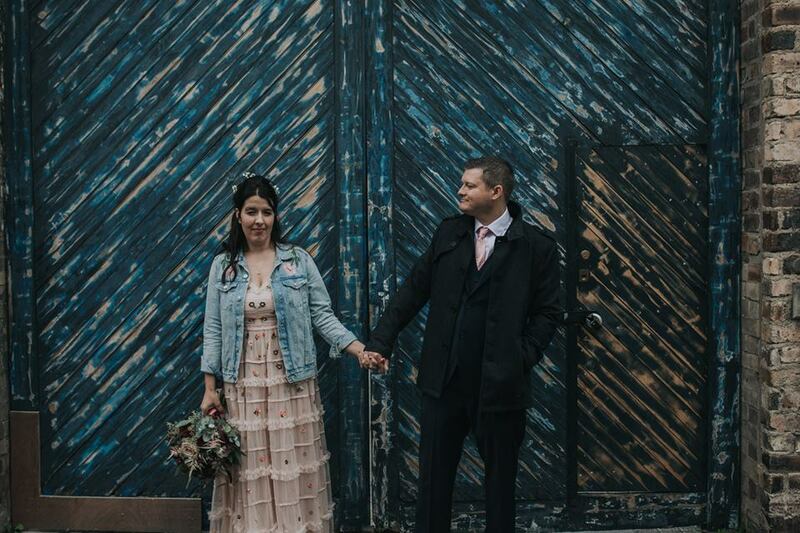 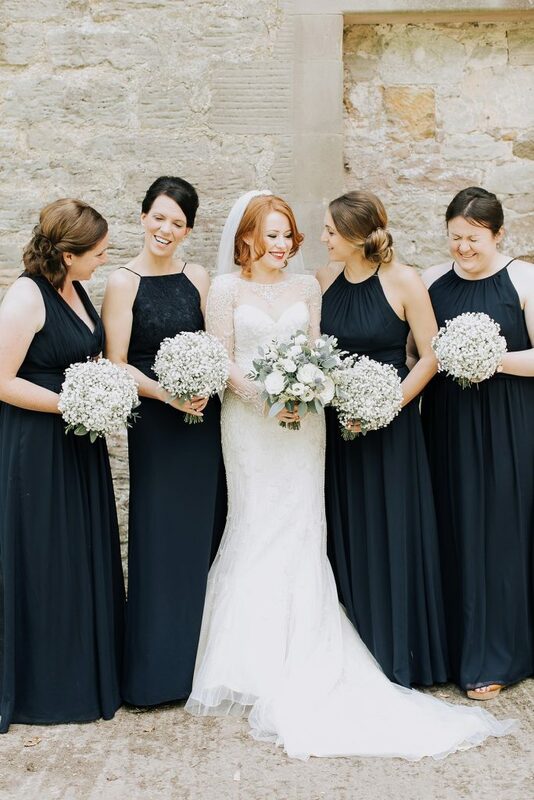 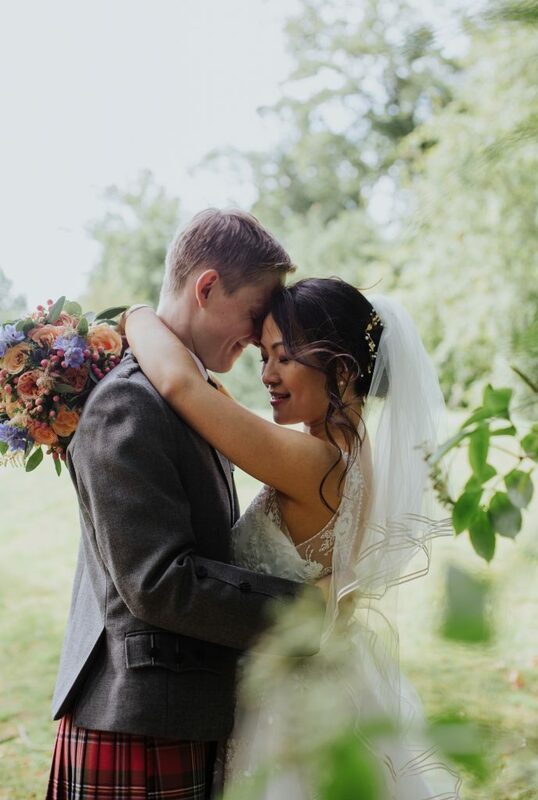 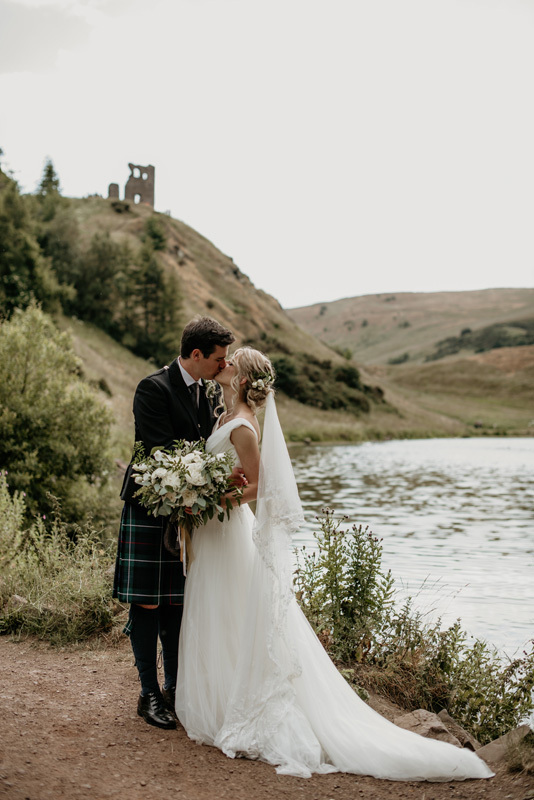 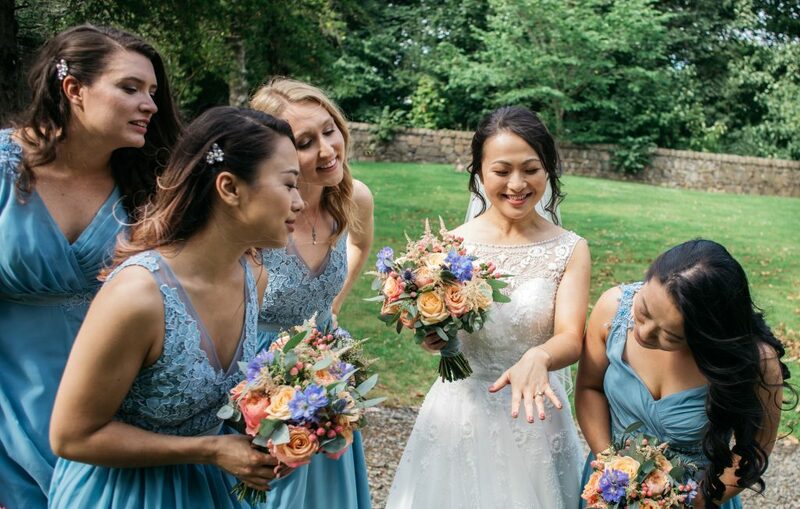 I have blogged this lovely wedding before but I couldn’t resist sharing a few more photos as it has been featured on Love My Dress just a few days ago. 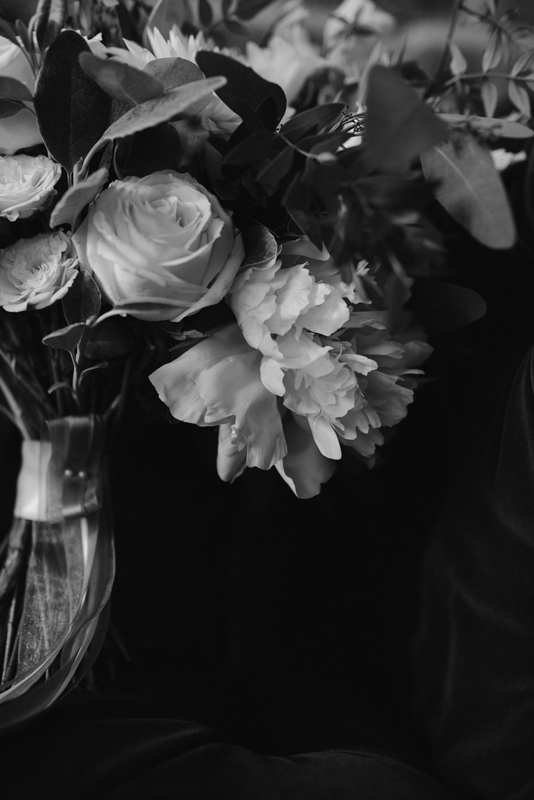 You can view the full article here. 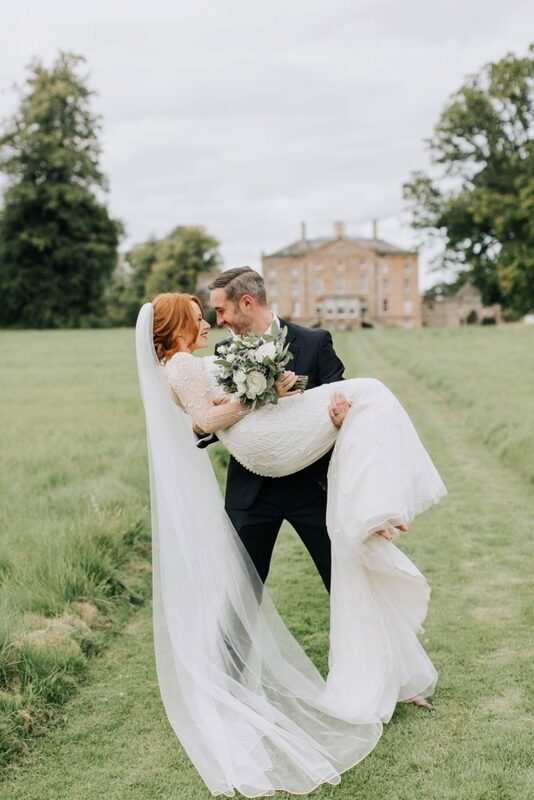 This was a highlight for me last year as I had never been to Arniston House before and it is such a beautiful setting. 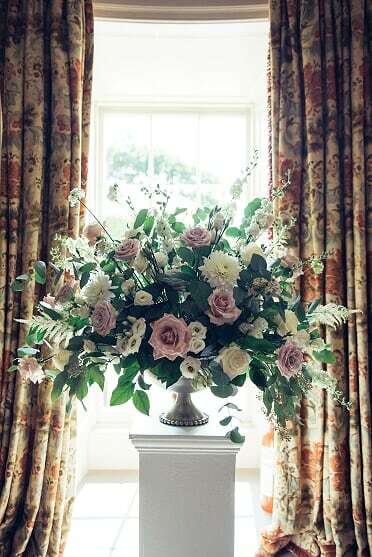 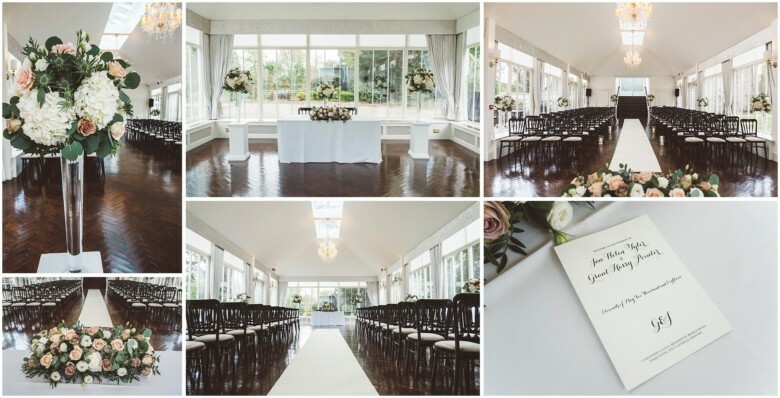 The house and grounds are stunning and the lovely orangery is perfect for a wedding ceremony. 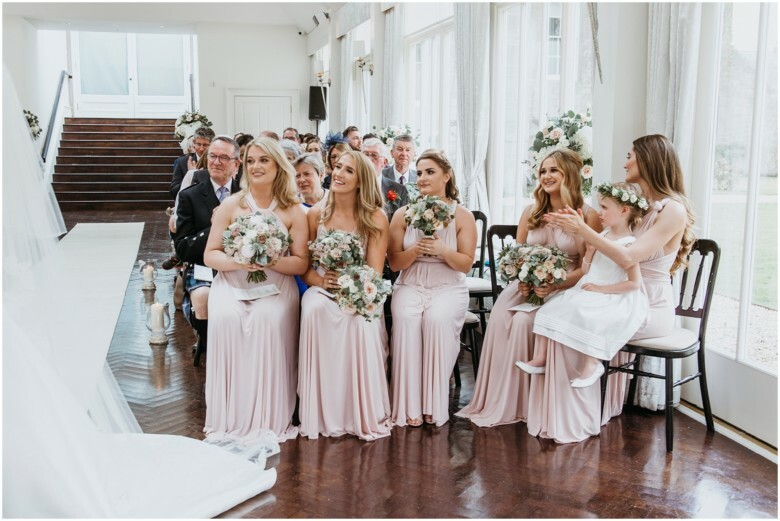 Jayne Lindsay Photography was there to capture all the details and special moments from the day. 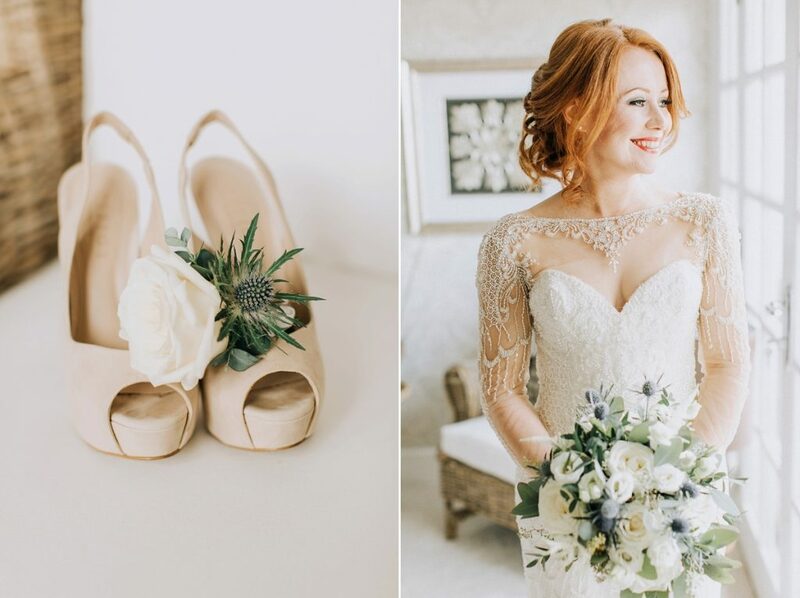 Her images are incredible! 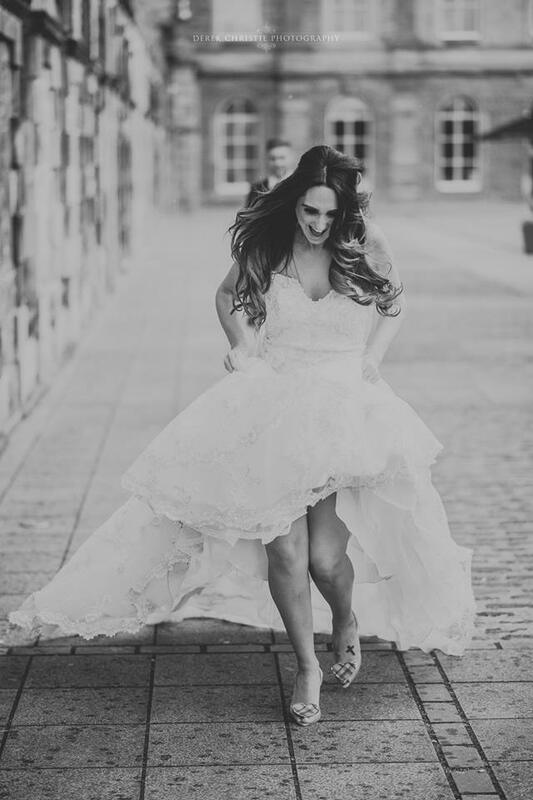 You can visit her website here to view more of her stunning work. 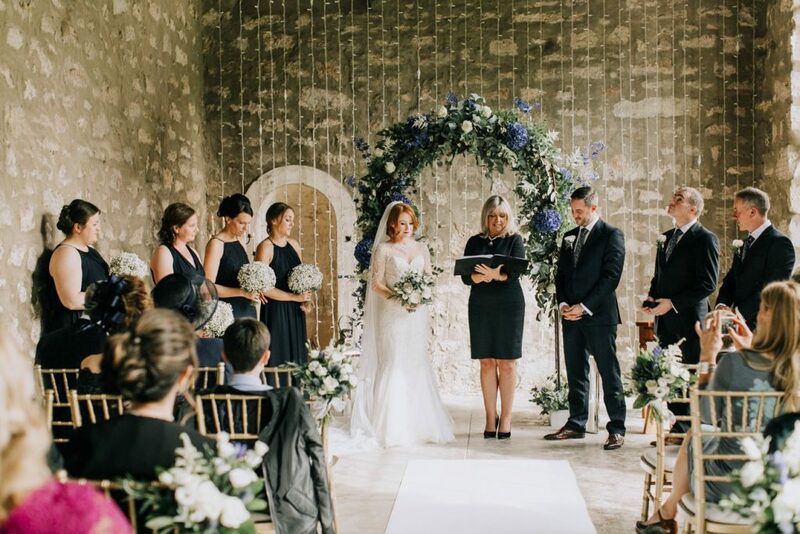 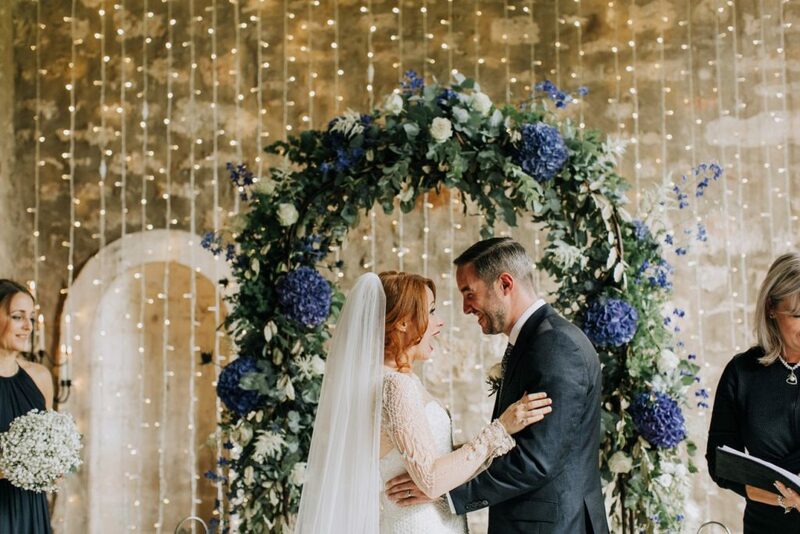 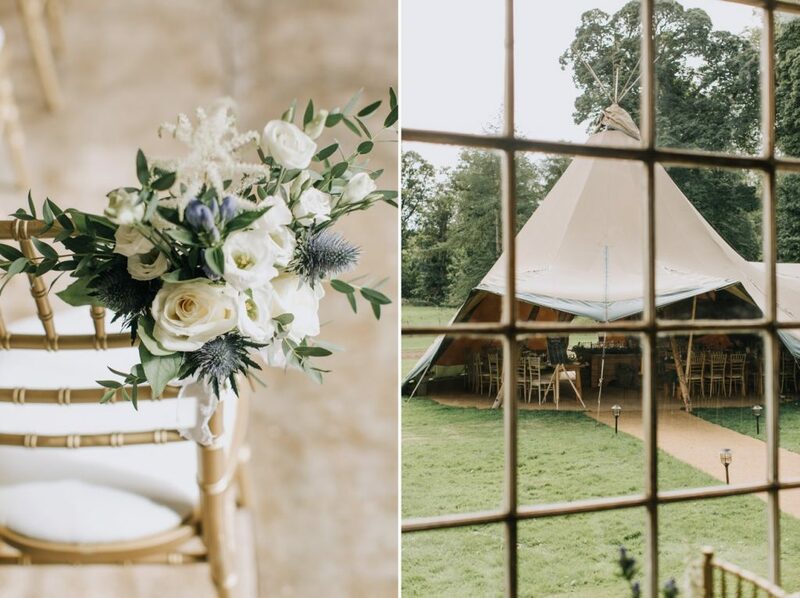 Steph and Chris has a relaxed white and blue colour scheme with lots of lovely seasonal foliage. 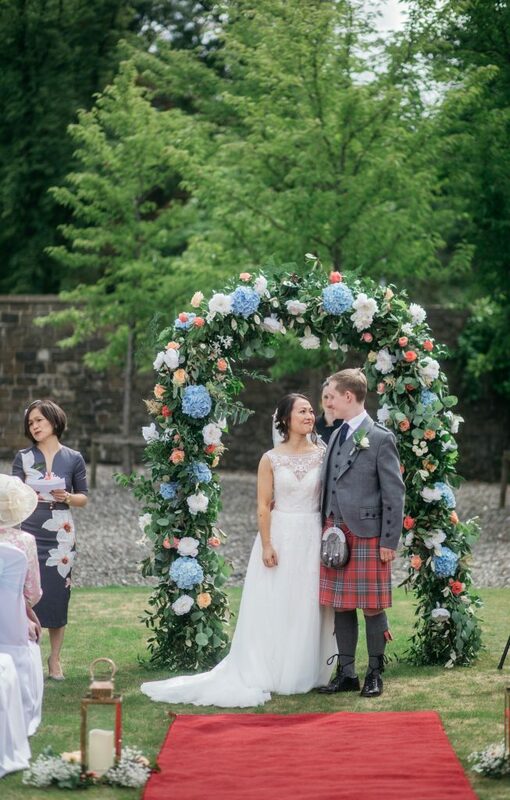 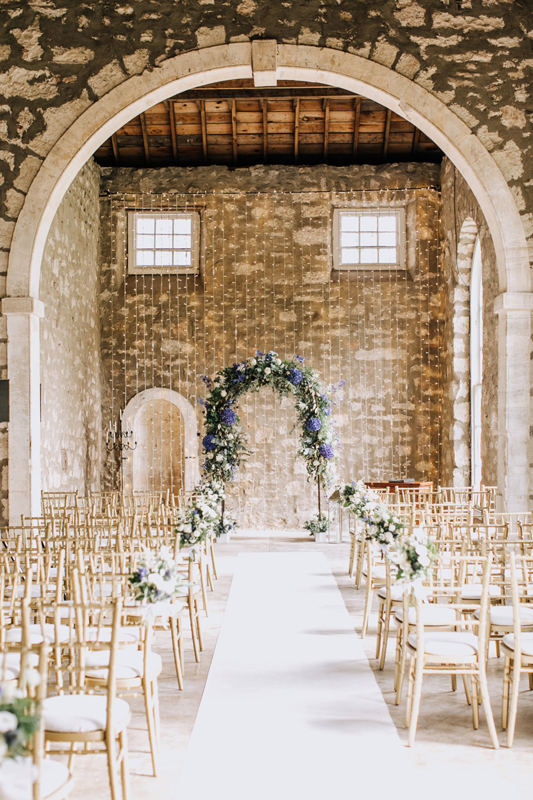 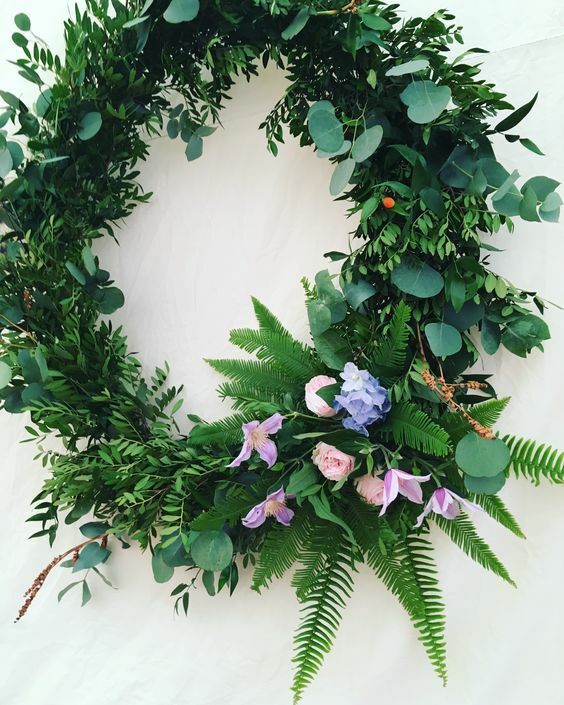 We created a ceremony archway full of huge hydrangea, roses and lots of other goodies. 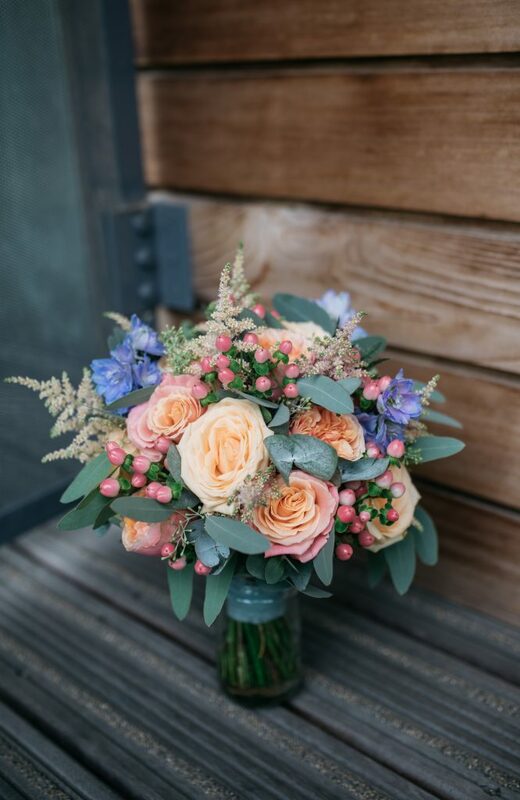 I absolutely loved the colour combination that Kay and David selected for their wedding flowers. 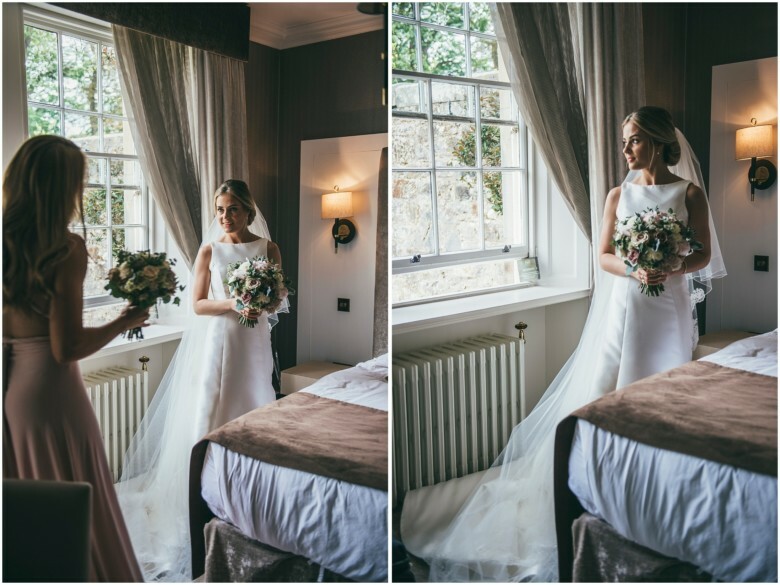 They were married in the garden at Norton House Hotel under a floral archway and held their reception in the Garden Suite. 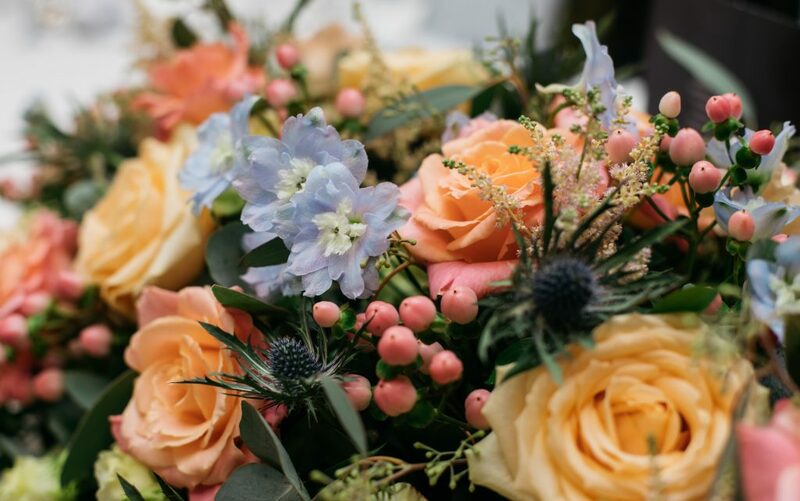 Peach, coral, pink and pale blue were the colours and we included lots of lovely varieties including vuvuzela roses, peach roses, delphinium, thistles, hypericum berries and mixed foliage. 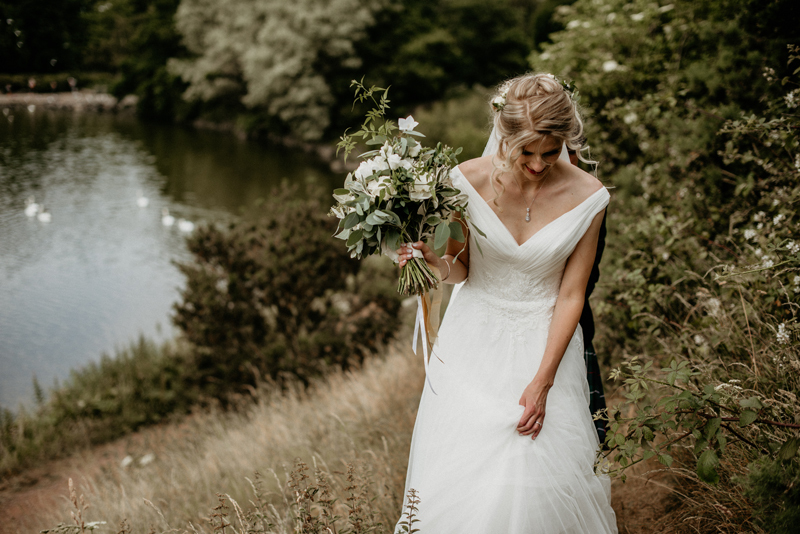 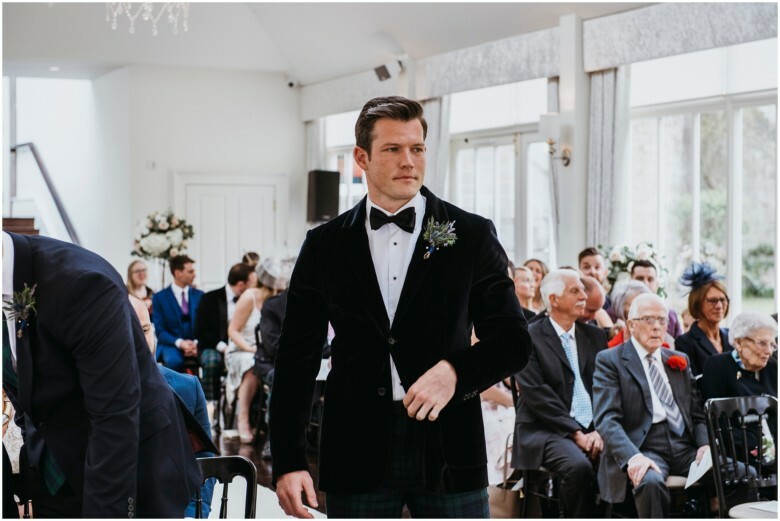 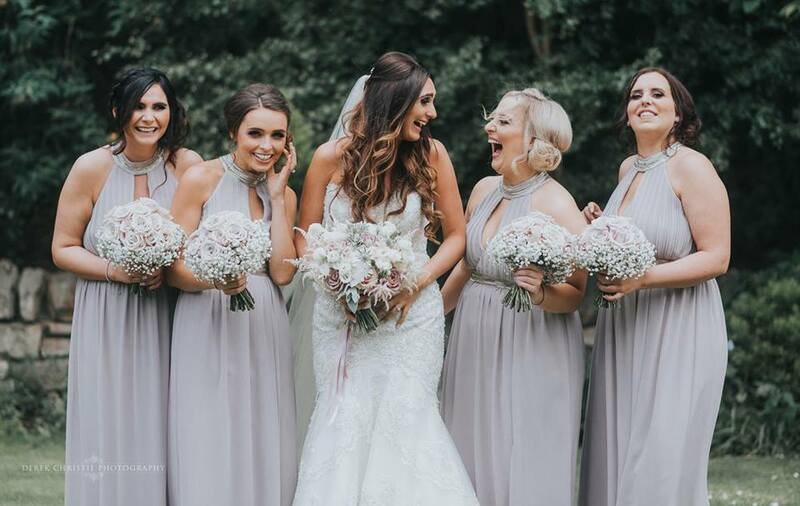 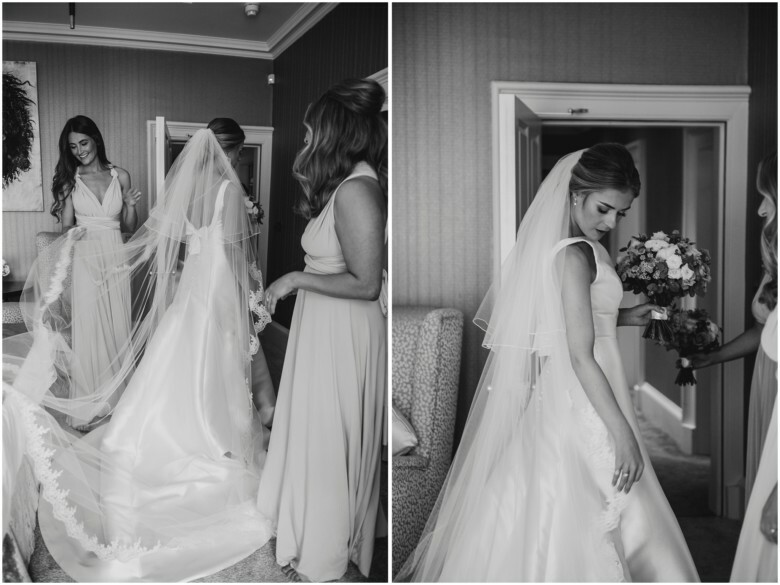 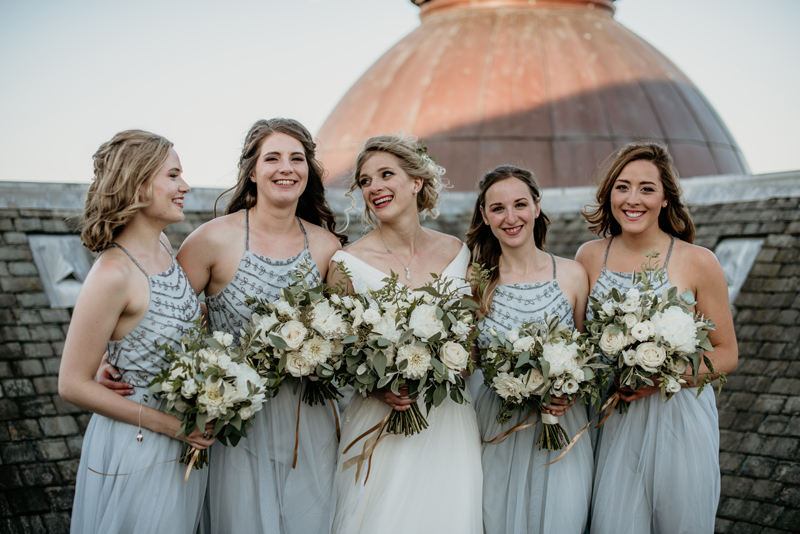 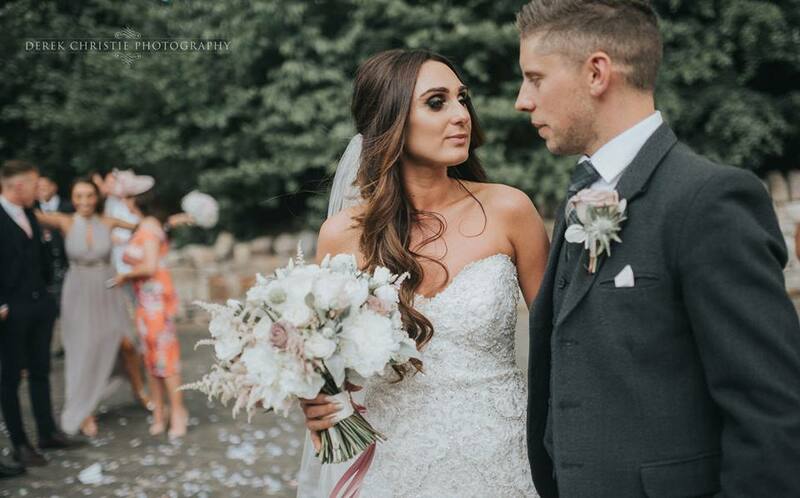 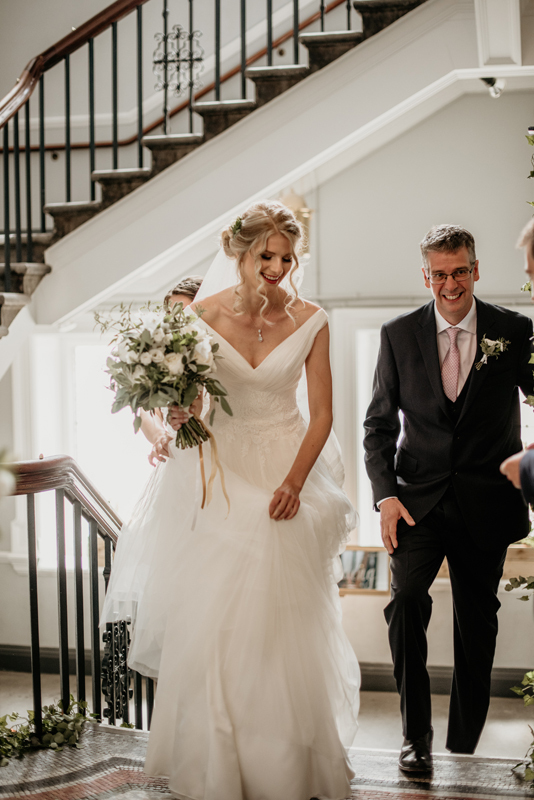 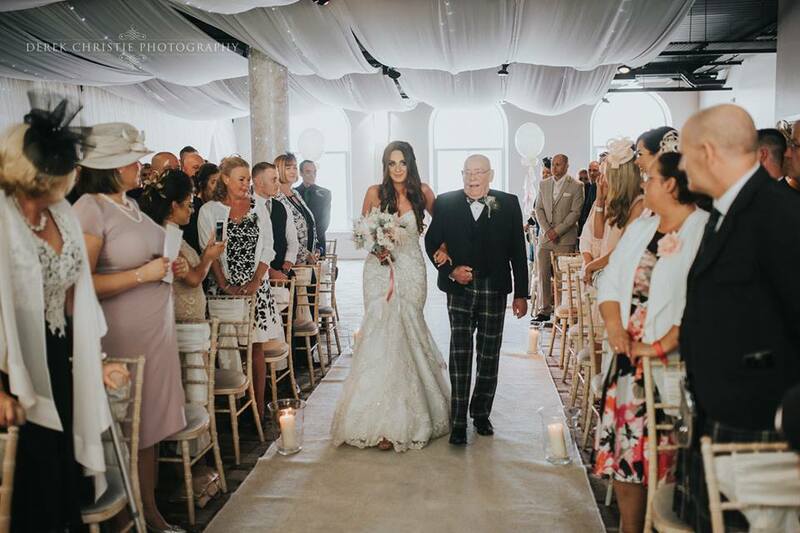 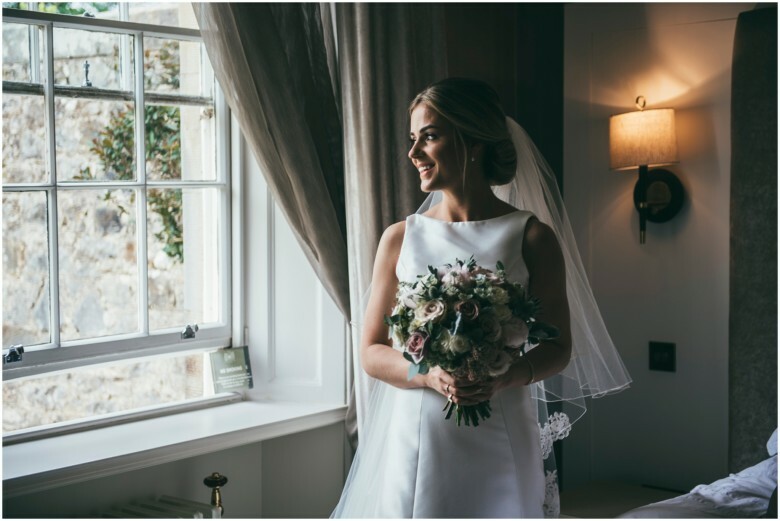 Natalie Holt Photography was there to capture all the moments from their day and I am delighted to share a few of her gorgeous images. 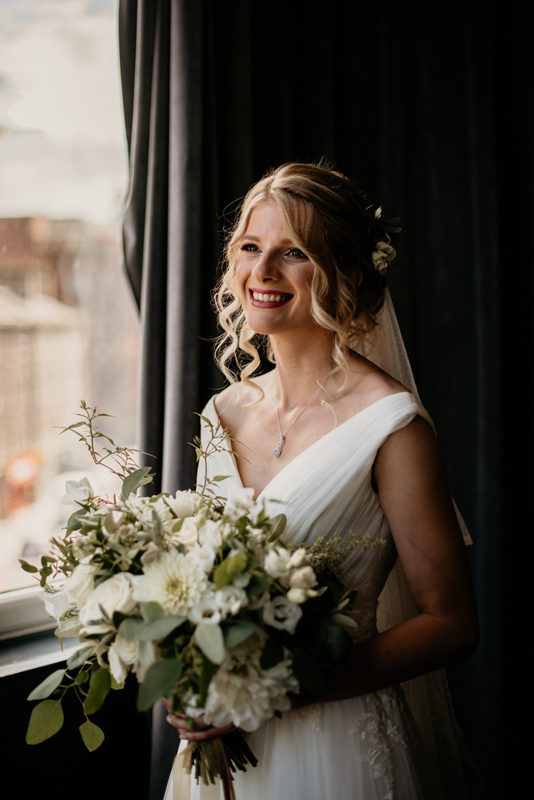 Please pop over to Natalie’s website to view more of her stunning work. 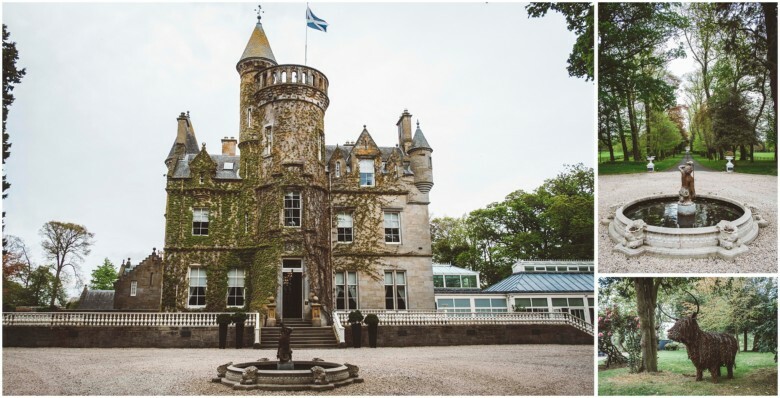 Jan and Grant were married at the stunning Carlowrie Castle earlier this year, one of my favourite venues. 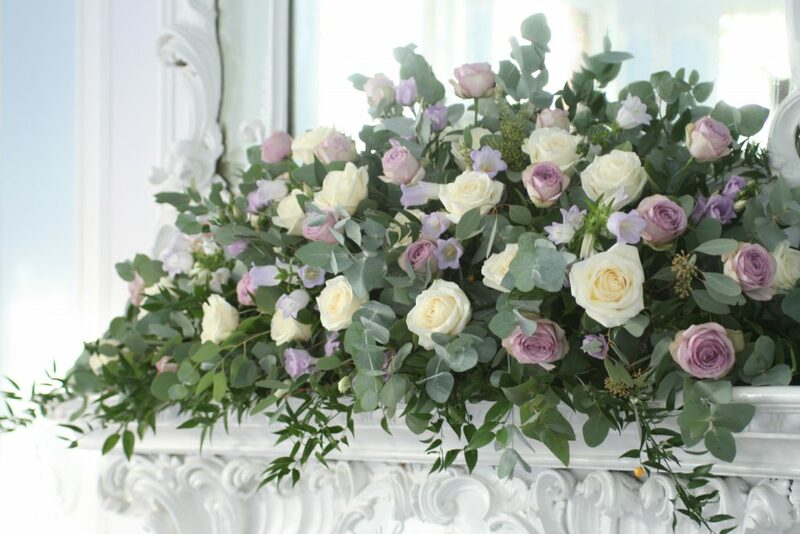 The colour scheme was pale dusky pinks, ivory and pale green/grey. 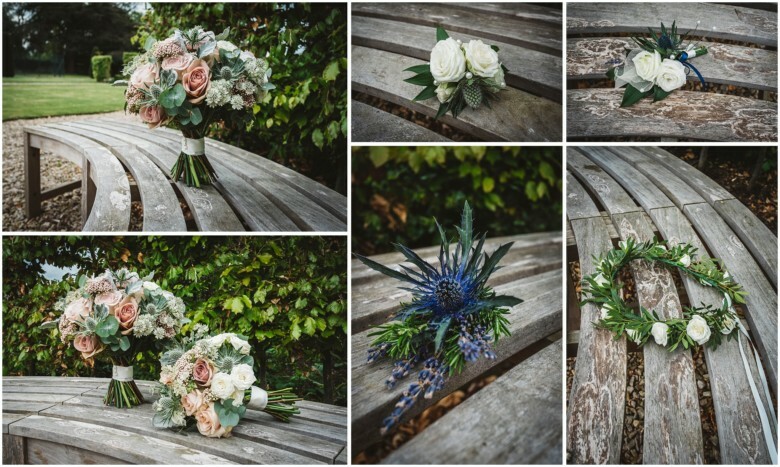 We created a textured vintage look with lots of lovely varieties including roses, spray roses, astrantia, rice flower, thistles and pale green foliage. 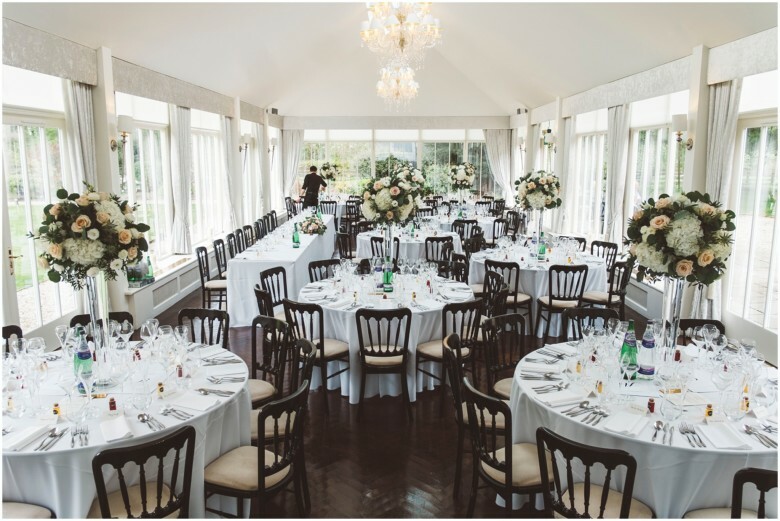 Tall centrepieces in conical vases were created for the centrepieces full of roses and hydrangea with a classic long and low for the ceremony and top table. 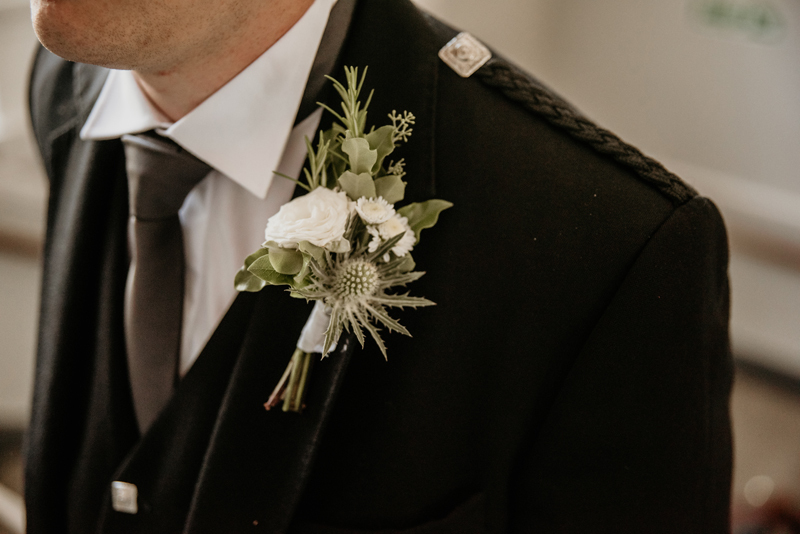 The boys wore thistle, lavender and rosemary buttonholes. 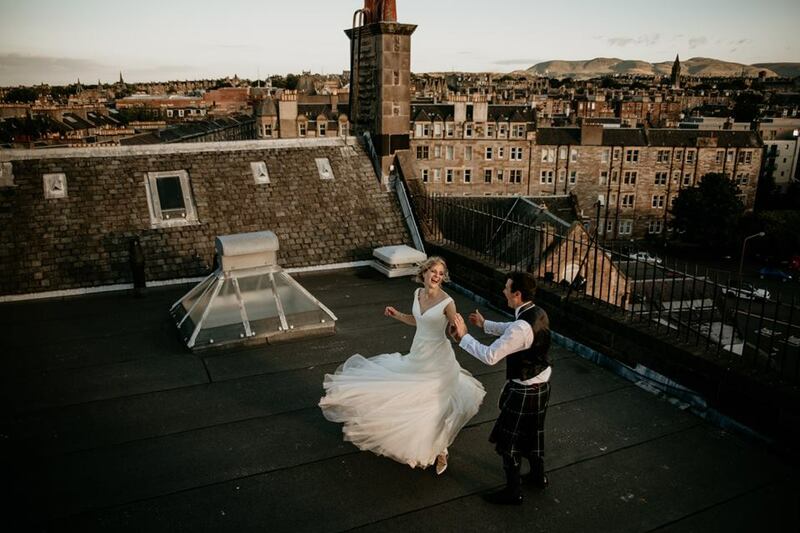 Tom Cairns Photography was there to capture the day and I am delighted to share a few of his gorgeous images. 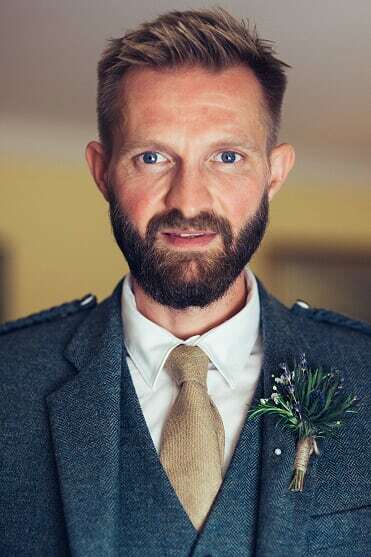 Pop over to Tom’s website to see more of his amazing work. 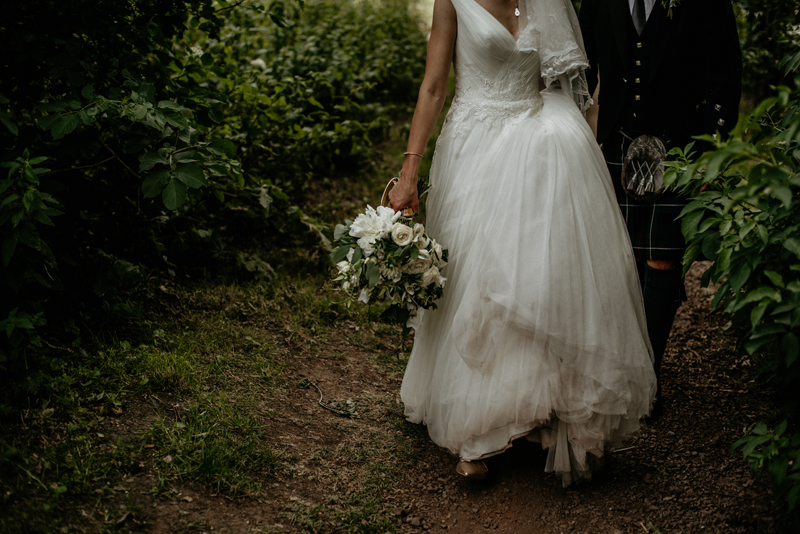 It’s been an amazing spring/summer for weddings here at LB. 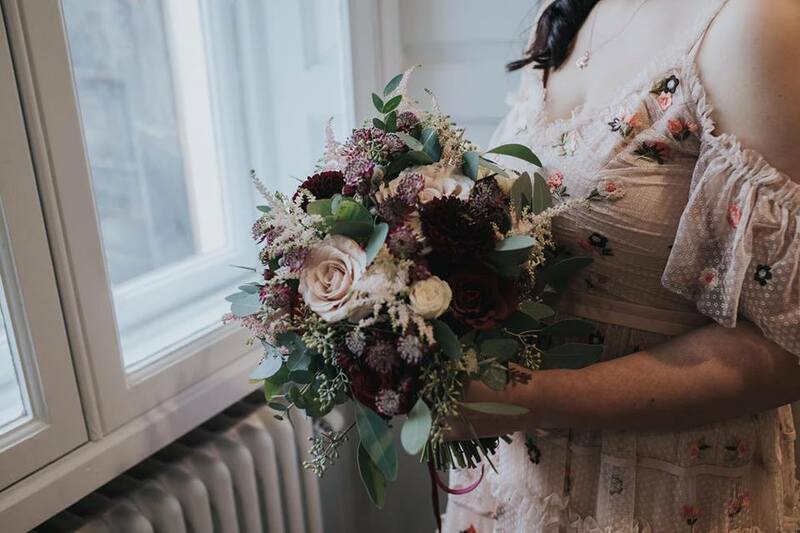 I cant believe it’s been 6 months since my last update!